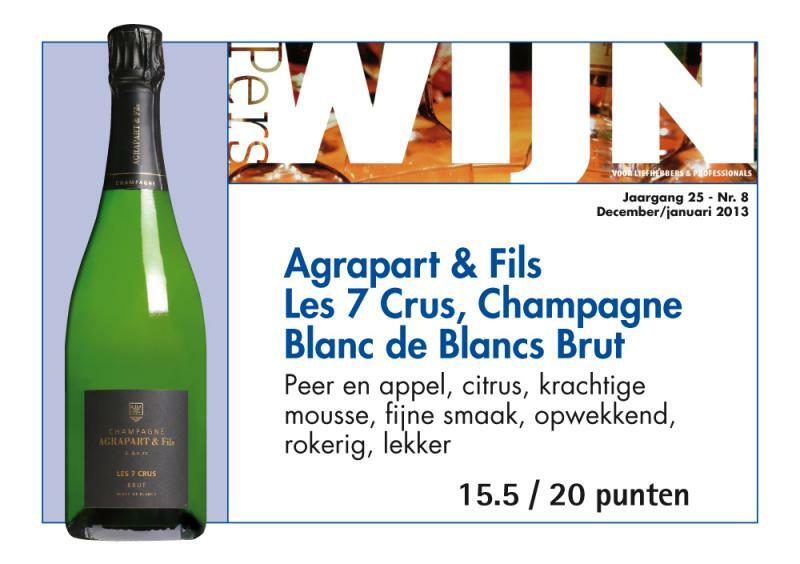 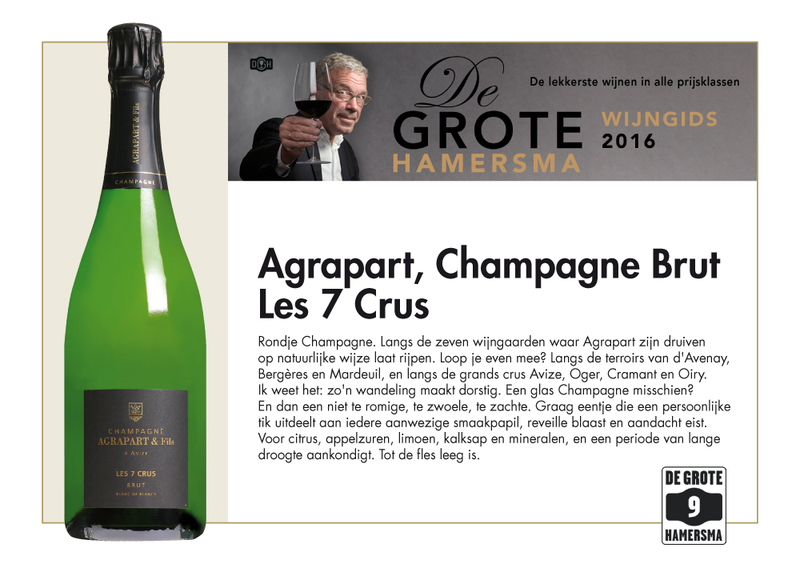 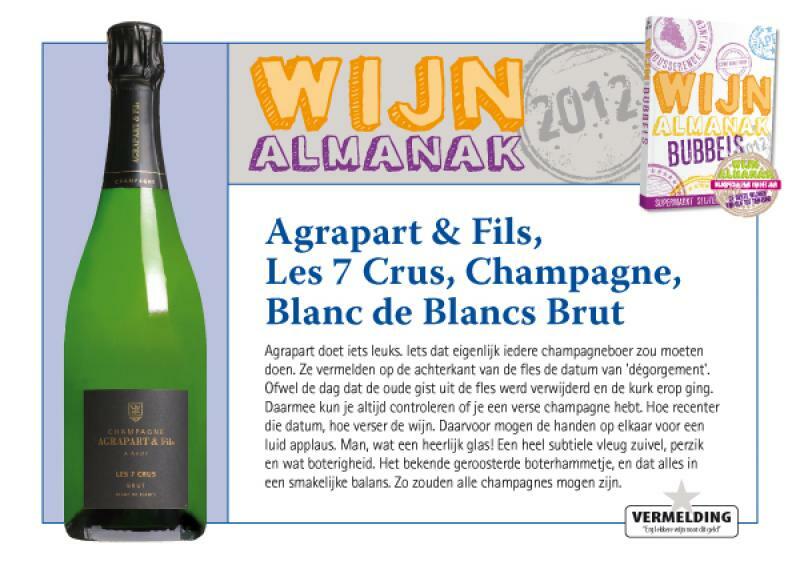 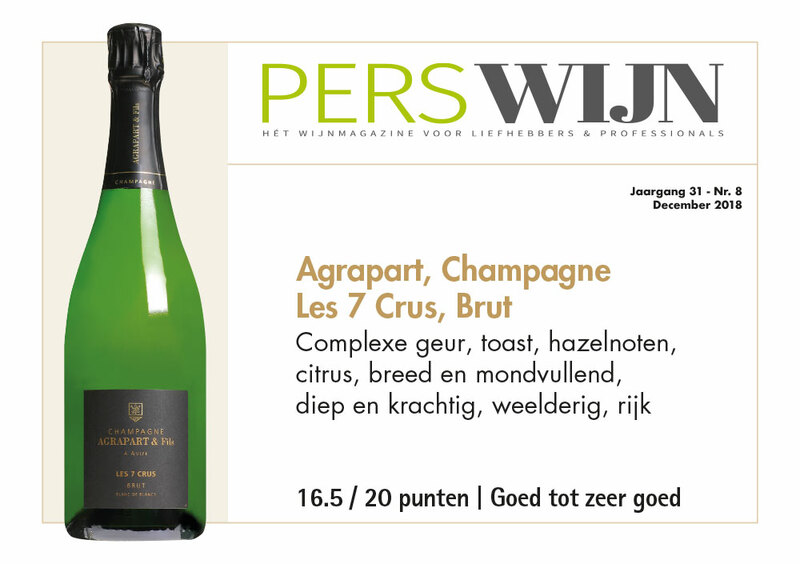 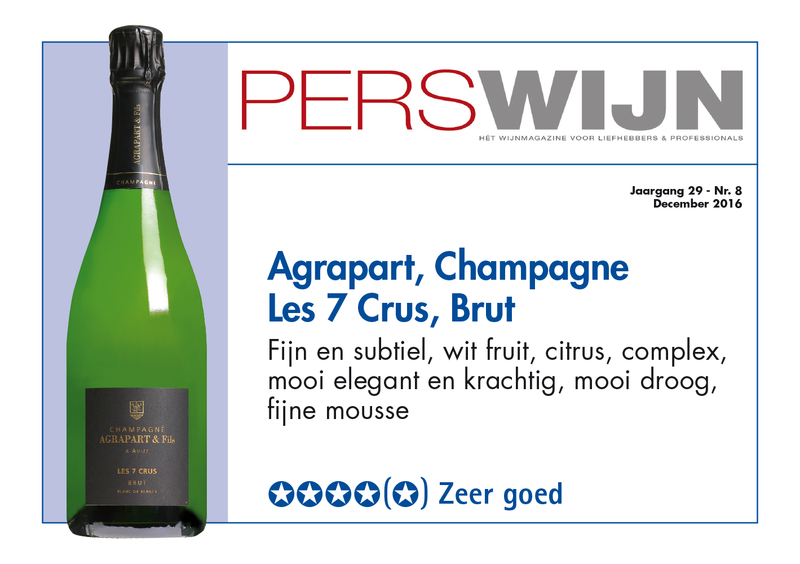 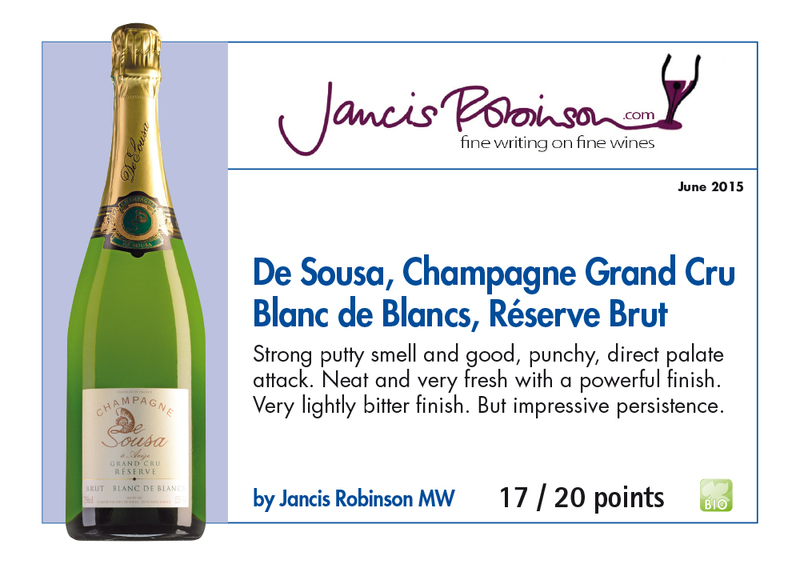 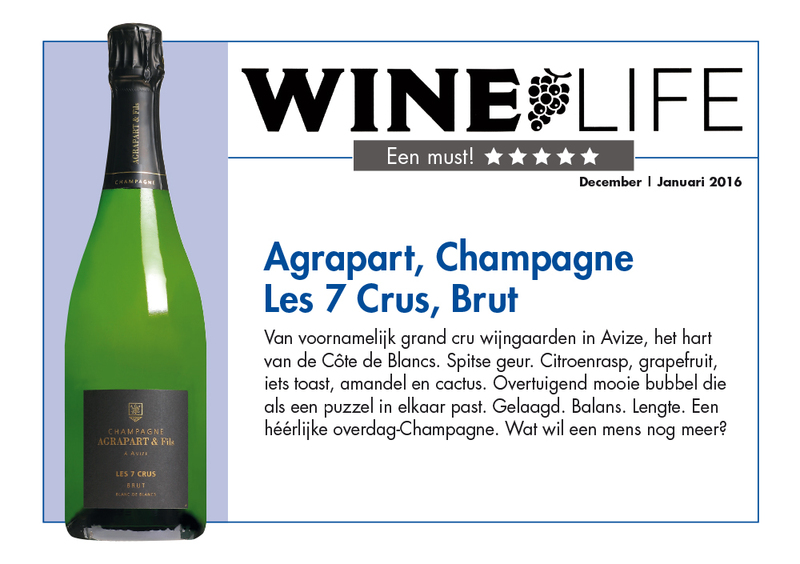 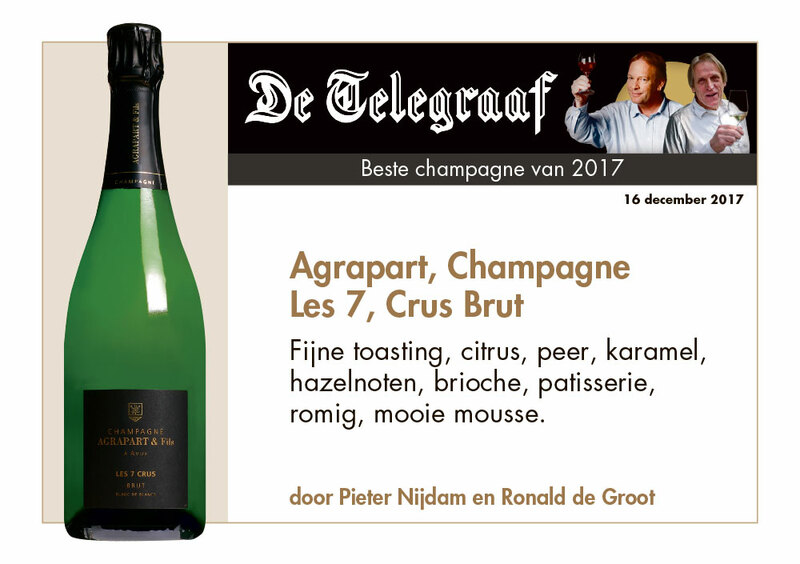 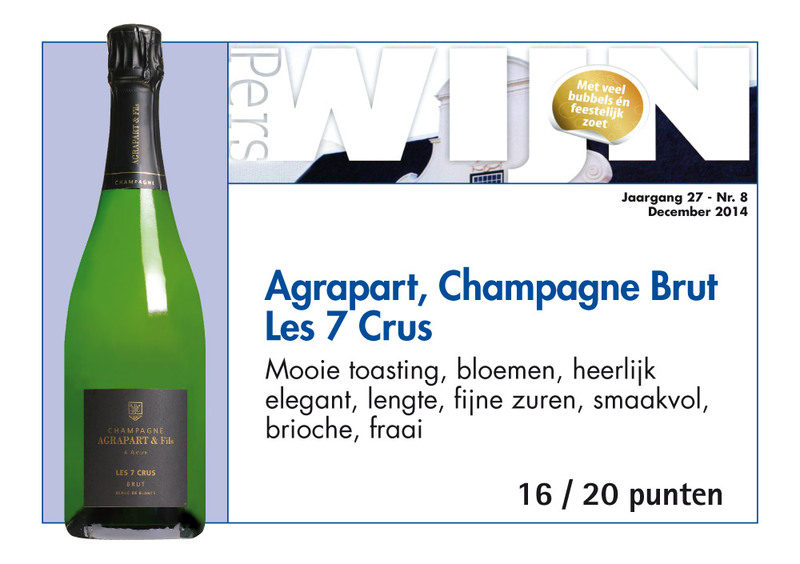 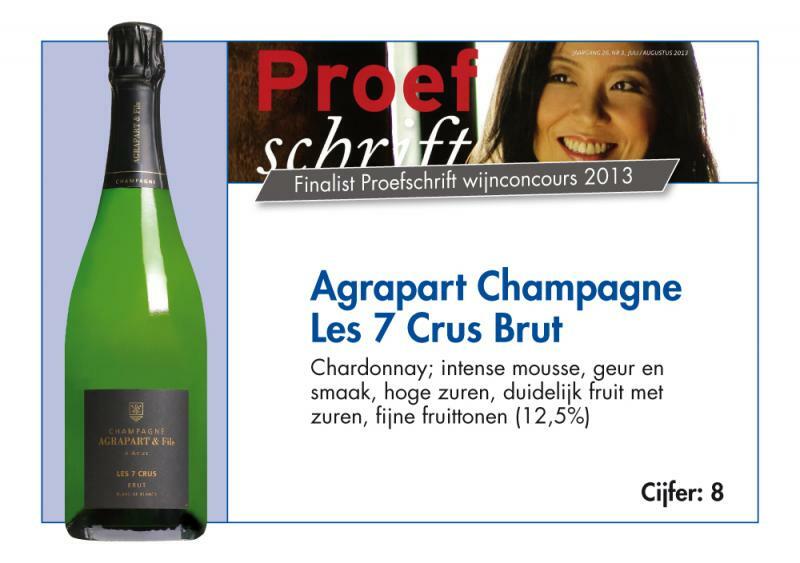 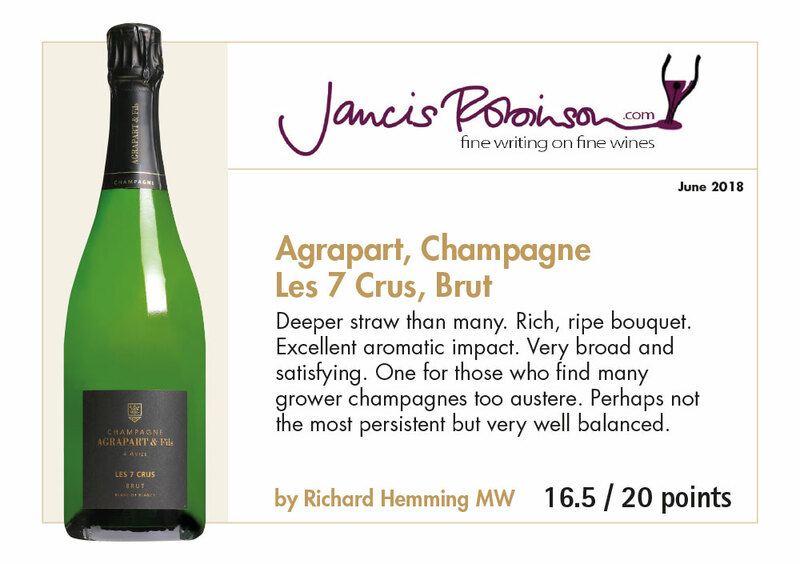 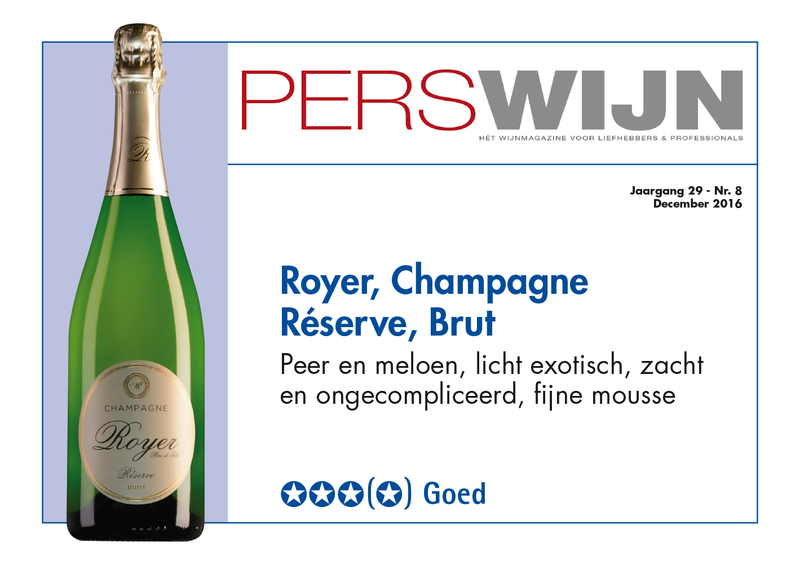 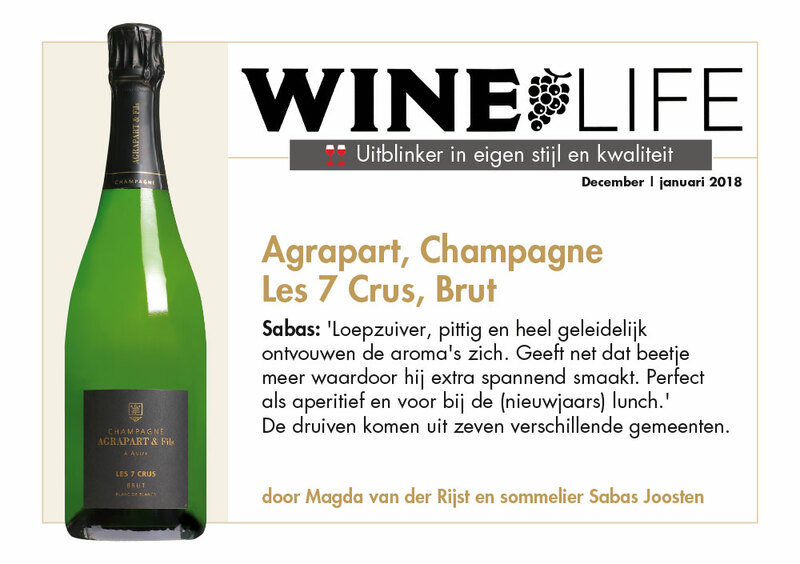 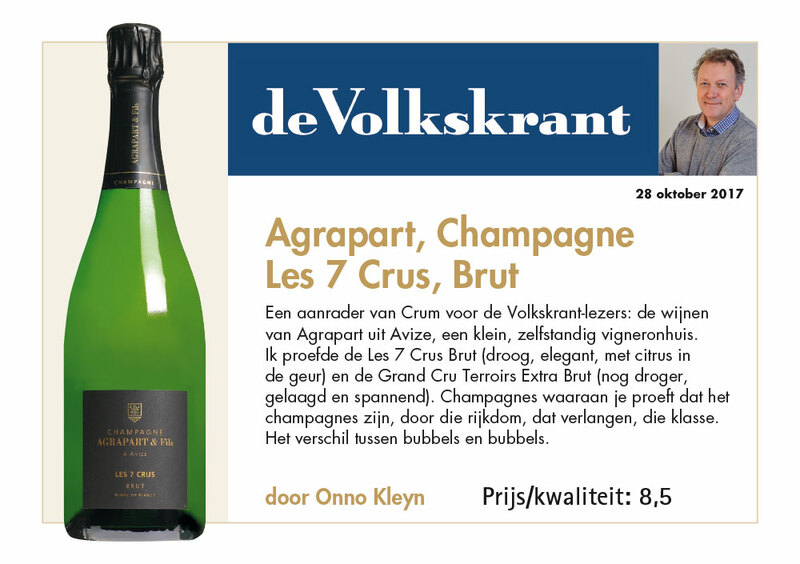 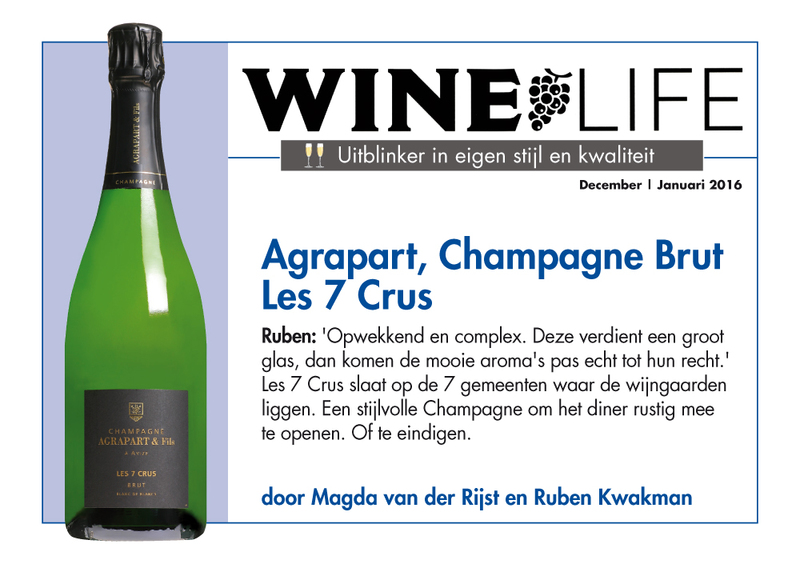 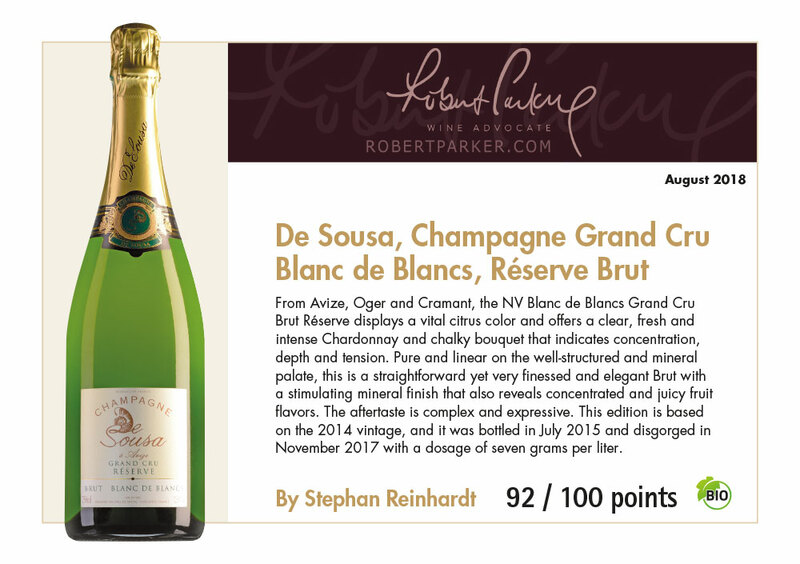 "Rating 95, Drink 2018-2040 From more clayey plots in Avize (Les Roberts and Les Gros Yeux), the 2012 Blanc de Blancs Grand Cru Extra Brut L'Avizoise fermented and aged entirely in barrels..."
"Rating 89, Drink 2018-2028 The NV Brut 7 Crus is a blend of 90% Chardonnay with 10% Pinot Noir assembled from two vintages, here with 60% from 2015 and 40% from 2014..."
"Rating 91, Drink 2018-2028 From four grands crus, the NV Blanc de Blancs Grand Cru Extra Brut Terroirs assembles 40% of 2014 with 60% of reserve wines, half of which was aged in barrels for six months..."
Exclusieve en experimentele champagne van gelauwerde champagneproducent Pascal Agrapart. 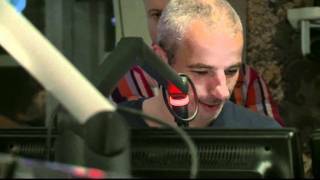 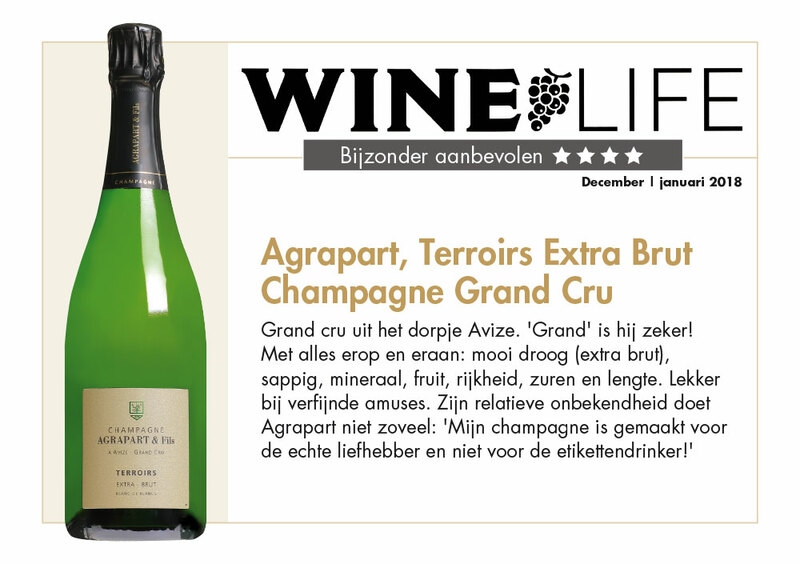 Een blend van maar liefst zeven druiven, afkomstig uit grand cru Avize. 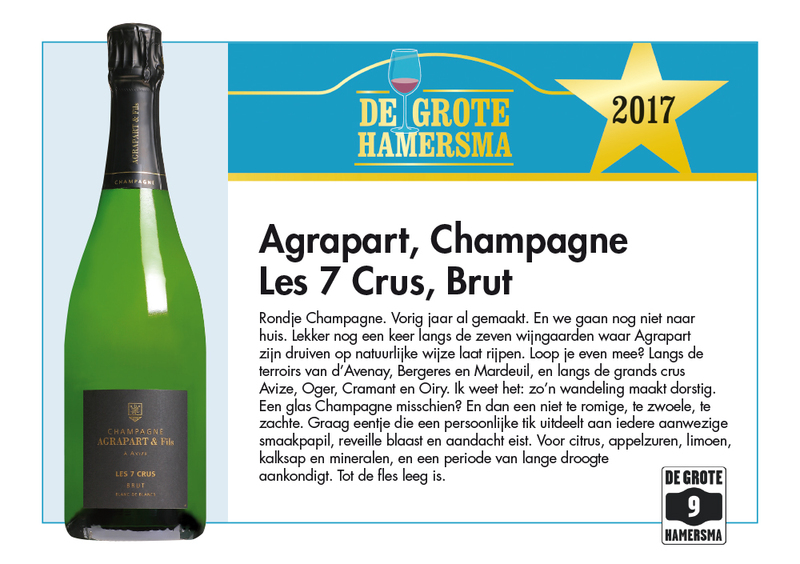 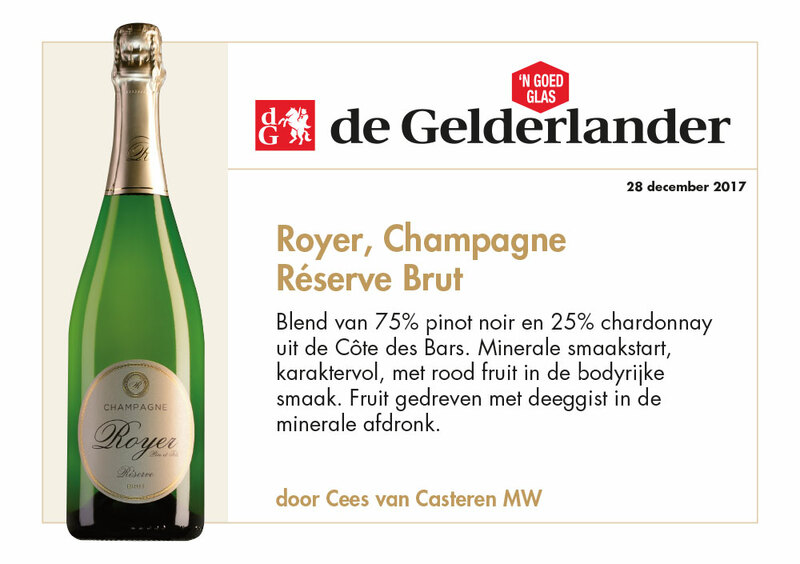 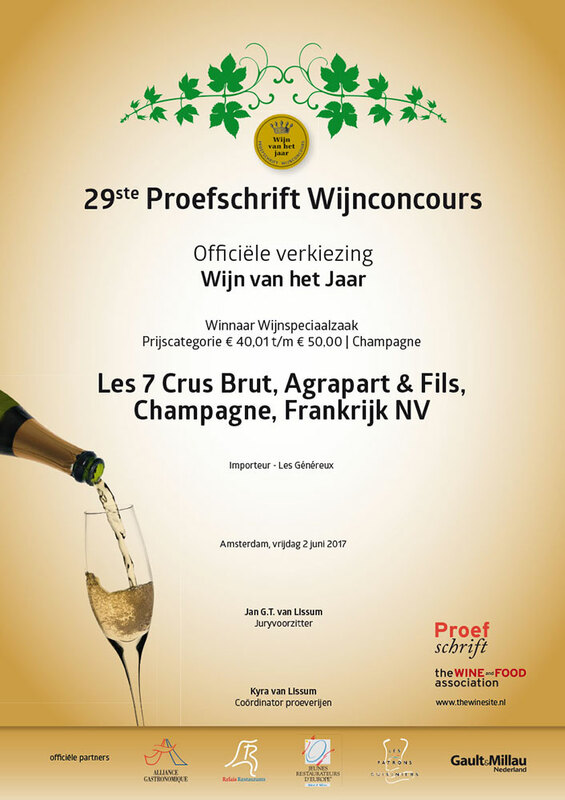 Frisse, fruitige, mineralige stijl, gemaakt om het typische Côtes des Blancs-terroir te reflecteren. 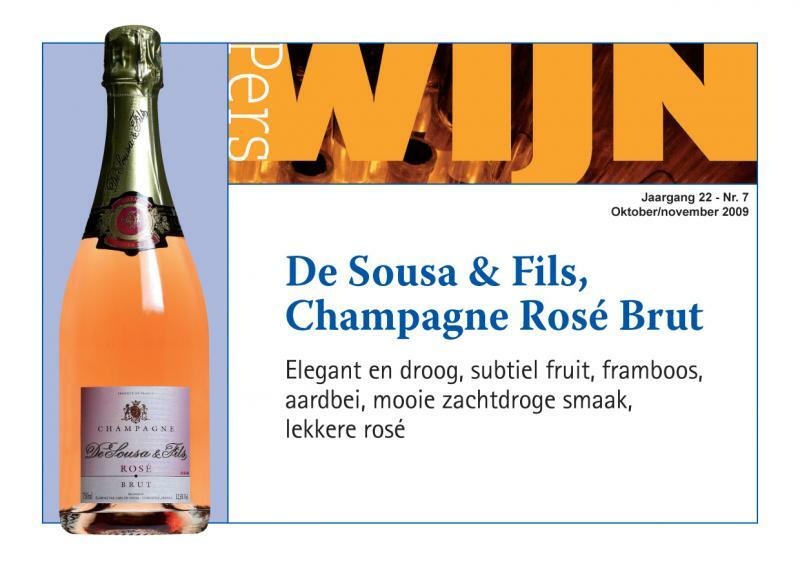 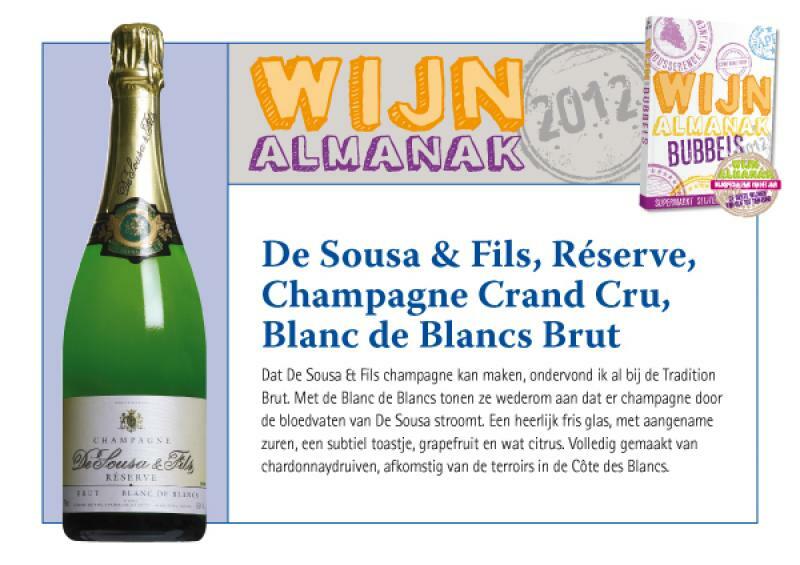 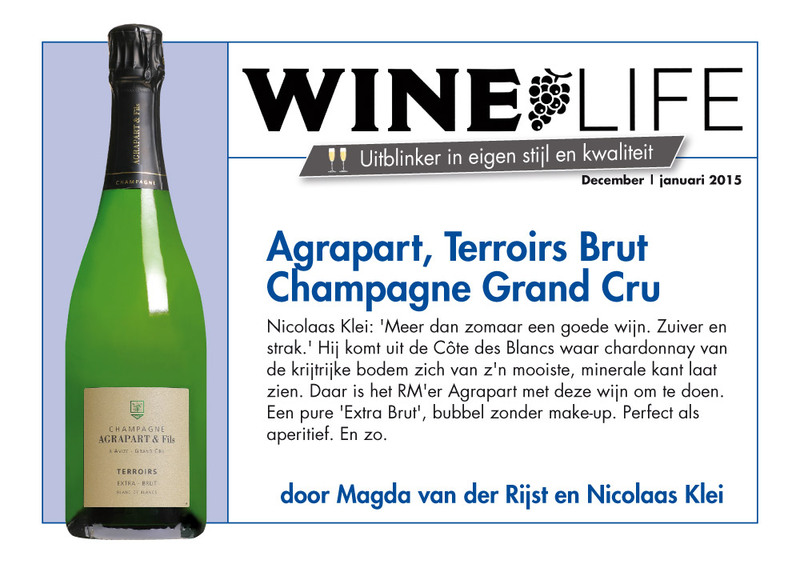 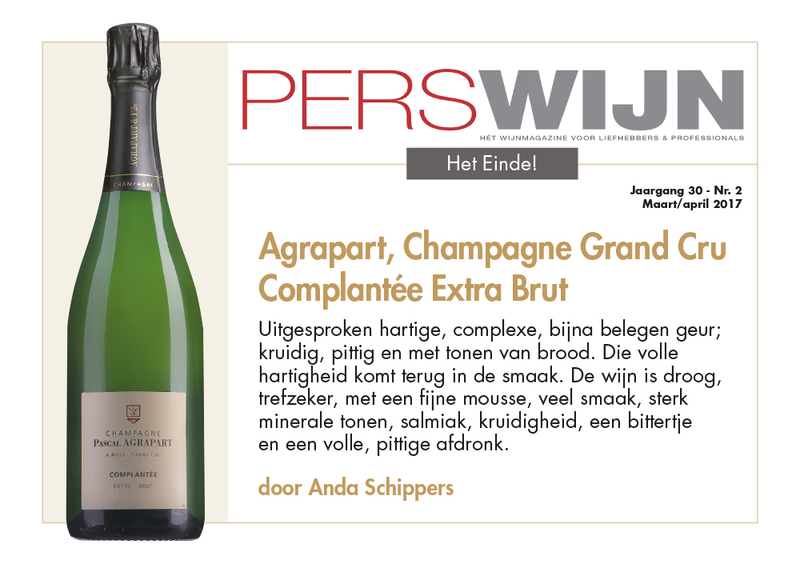 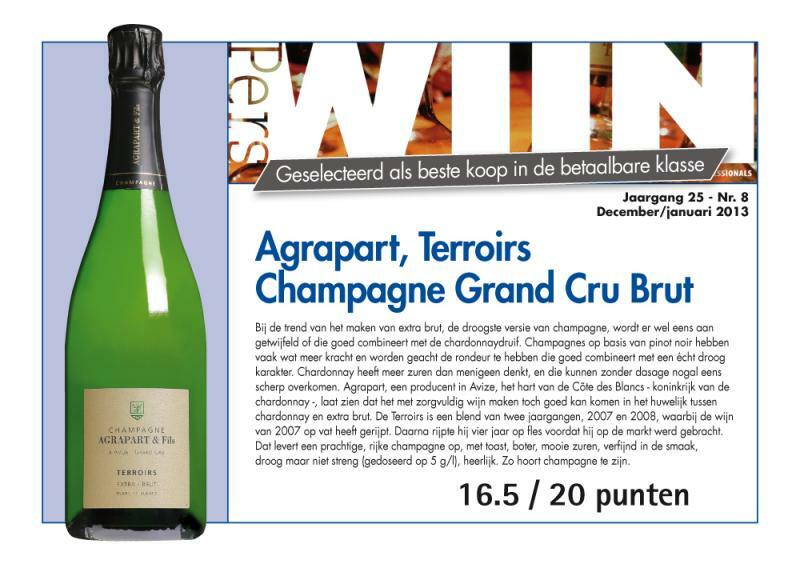 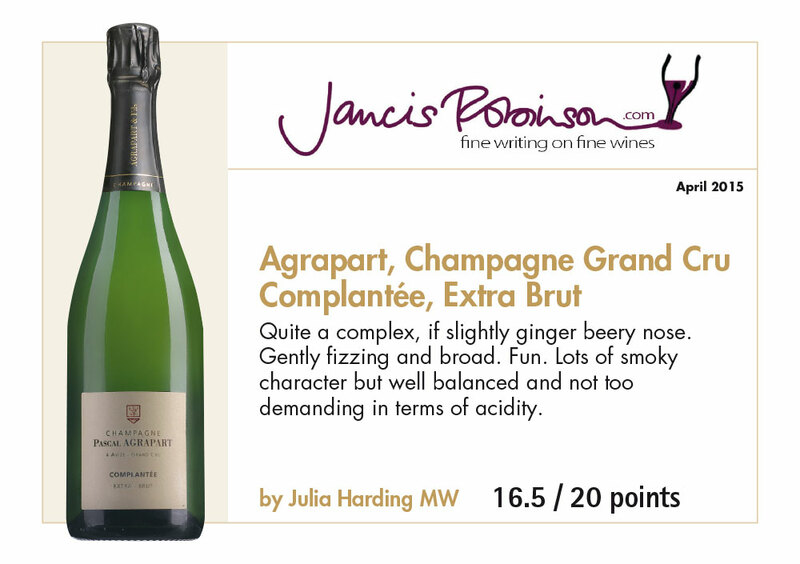 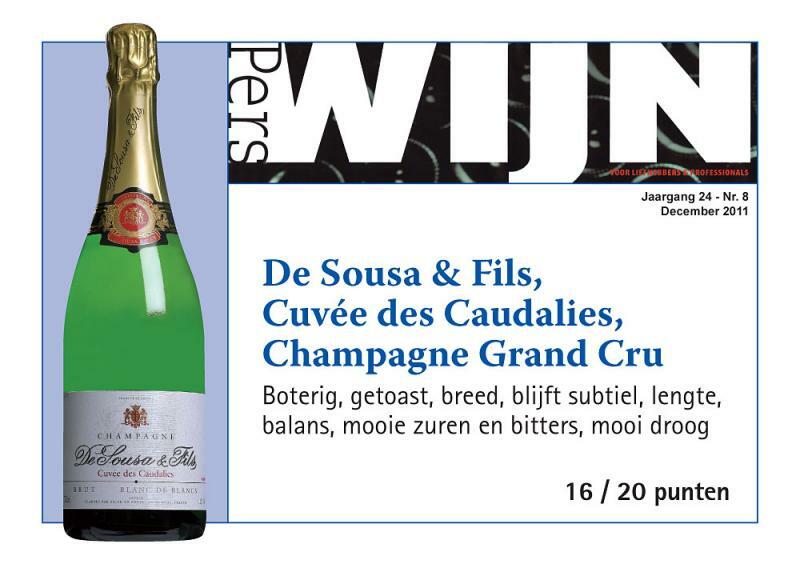 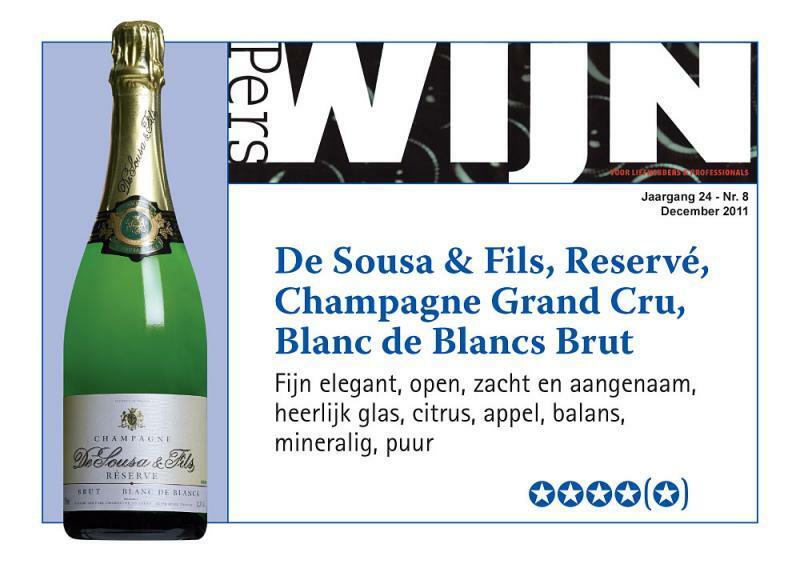 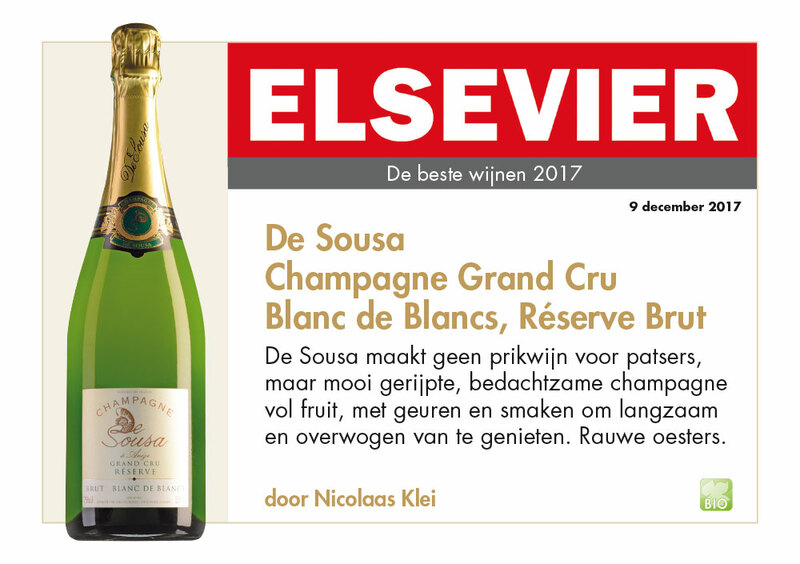 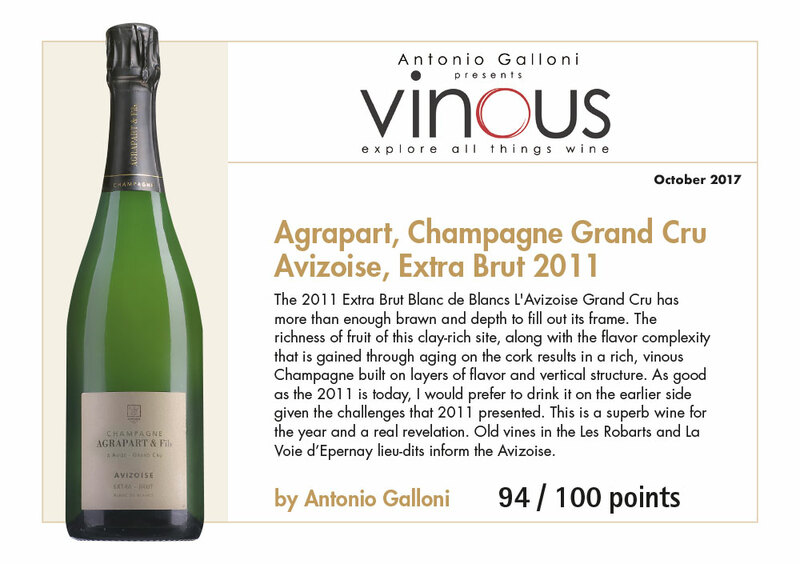 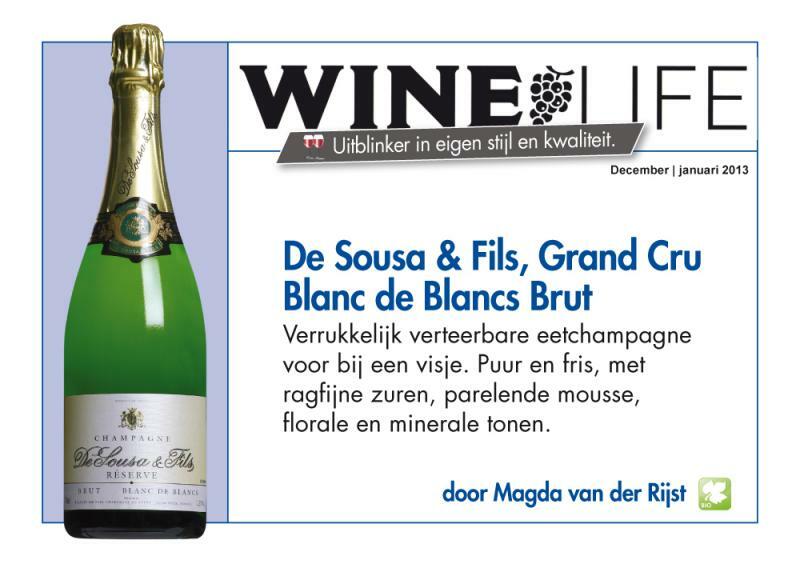 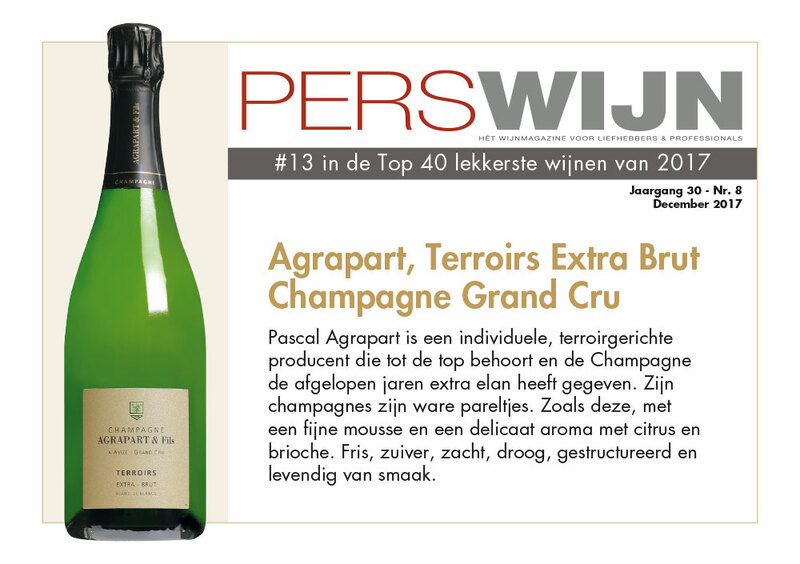 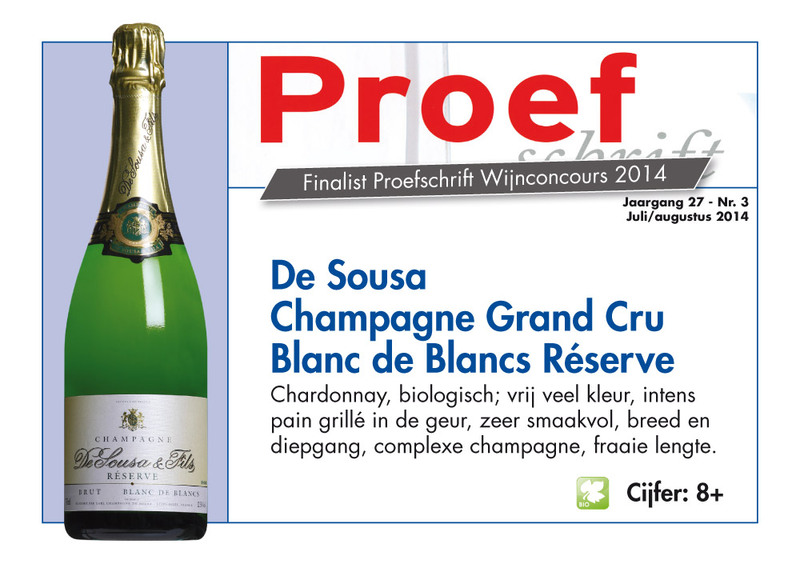 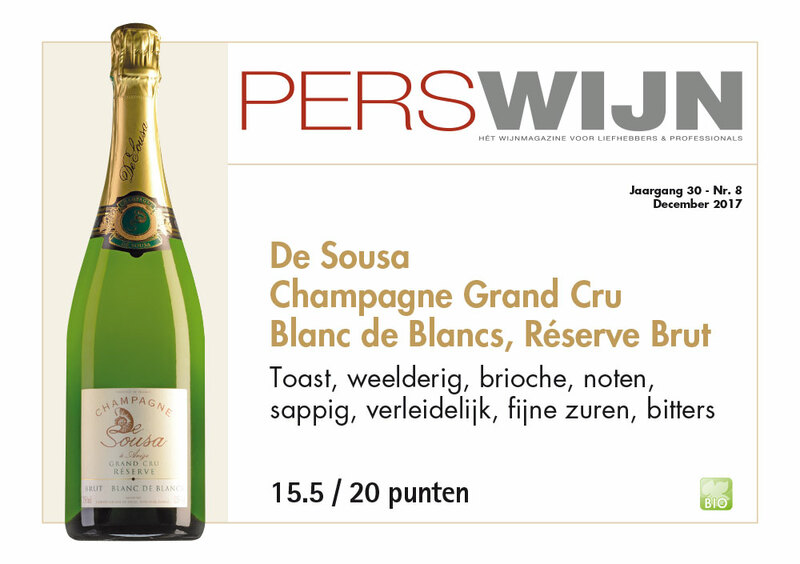 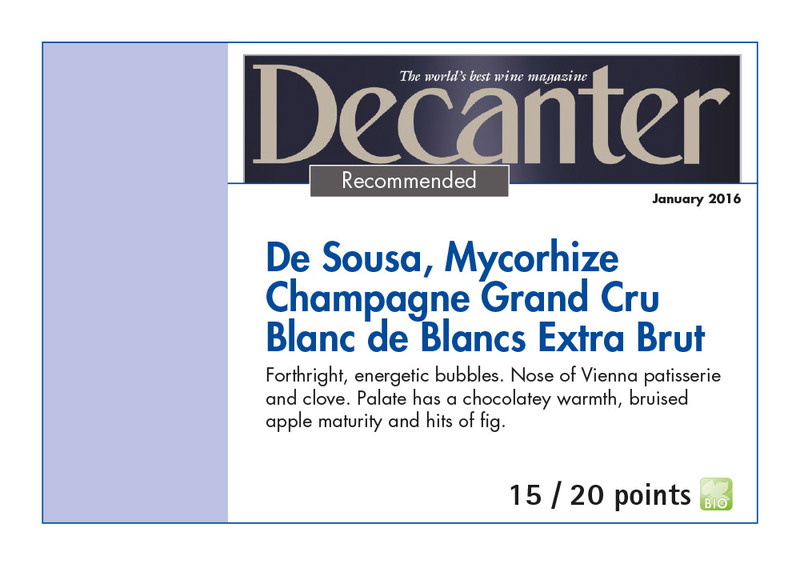 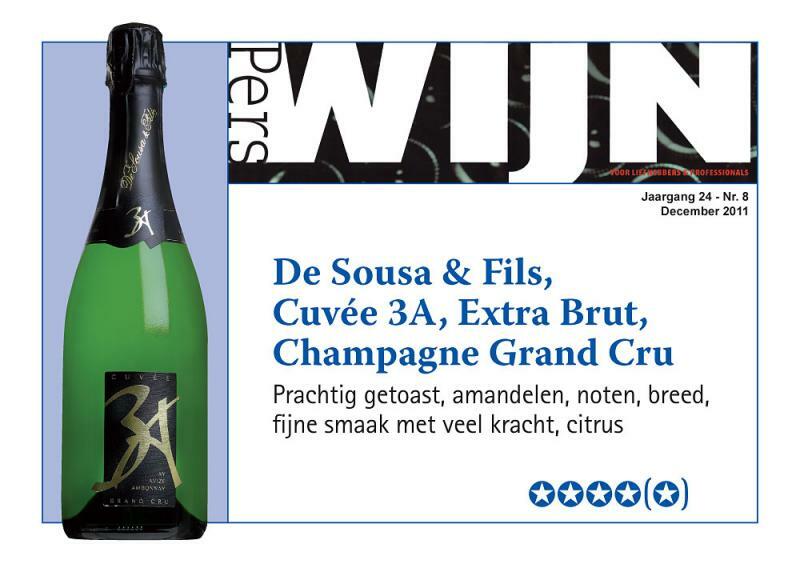 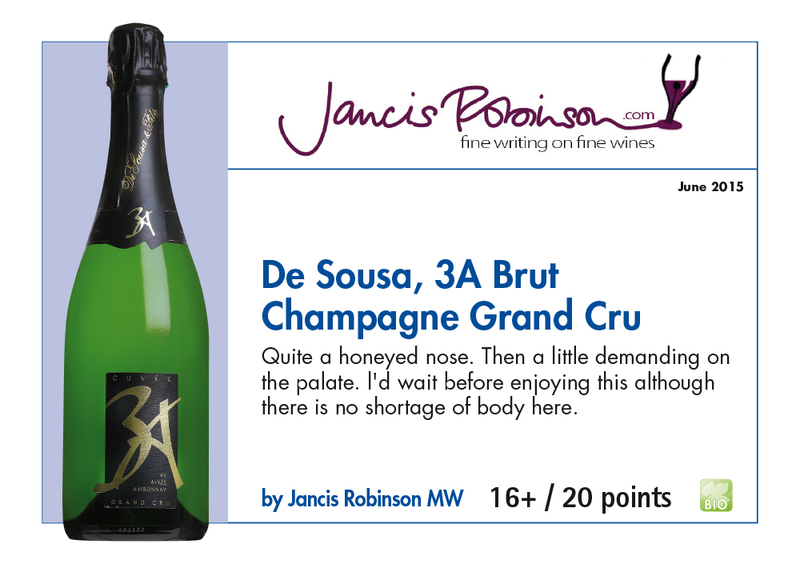 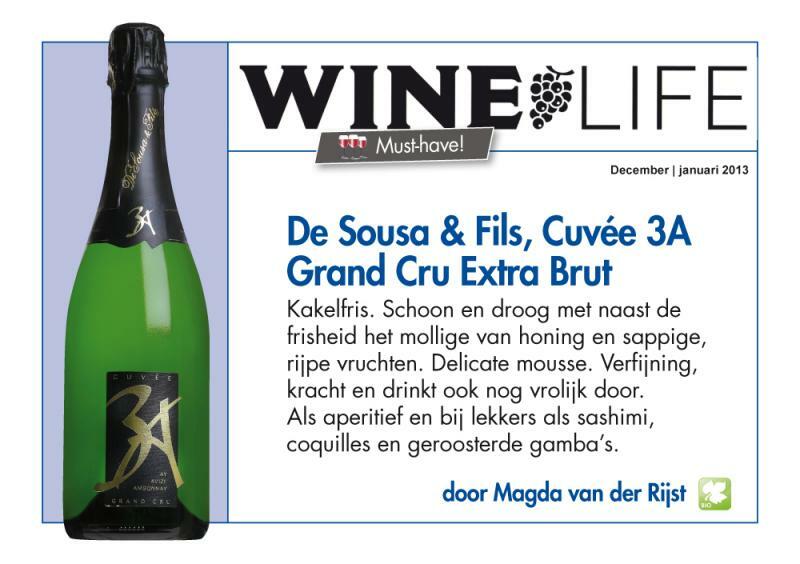 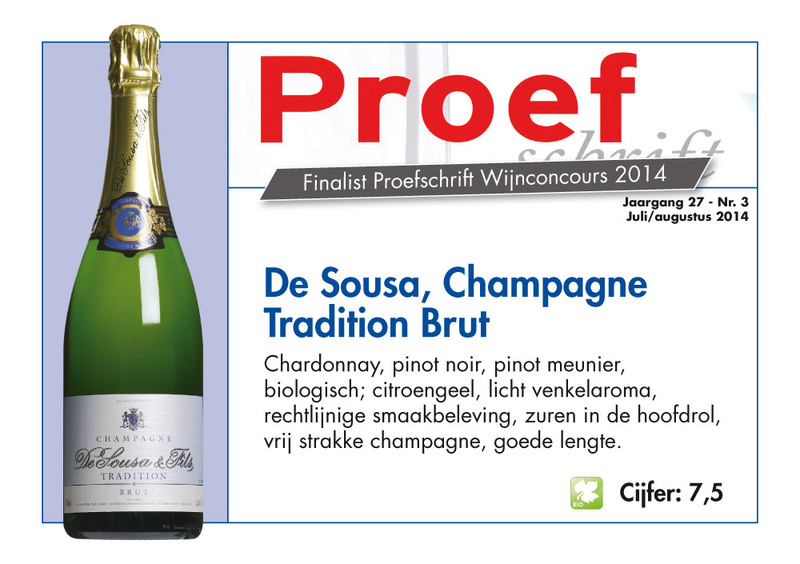 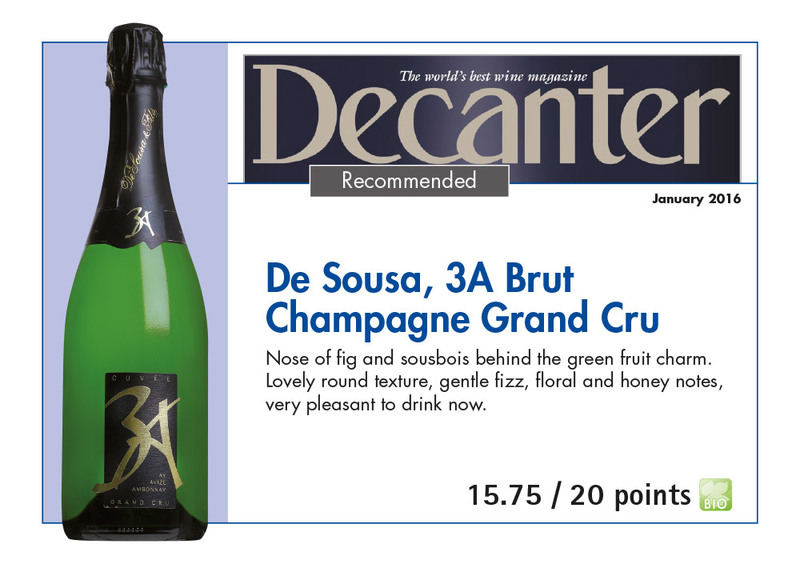 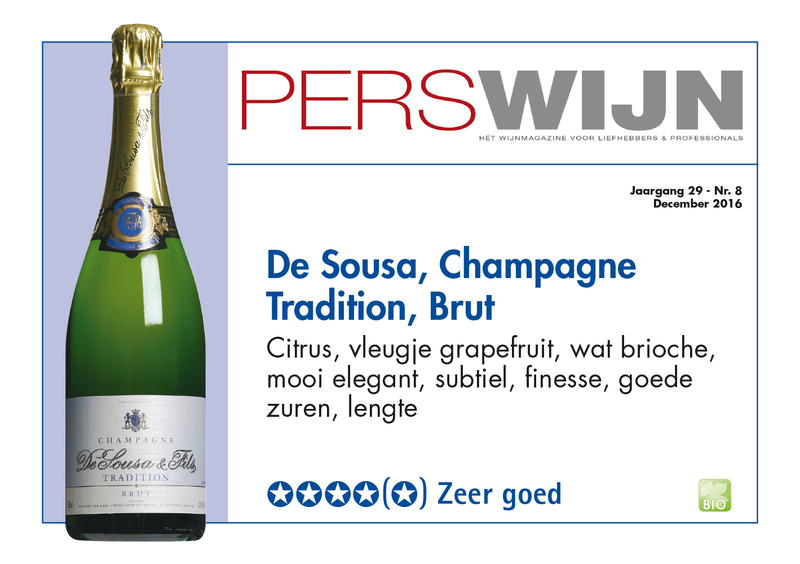 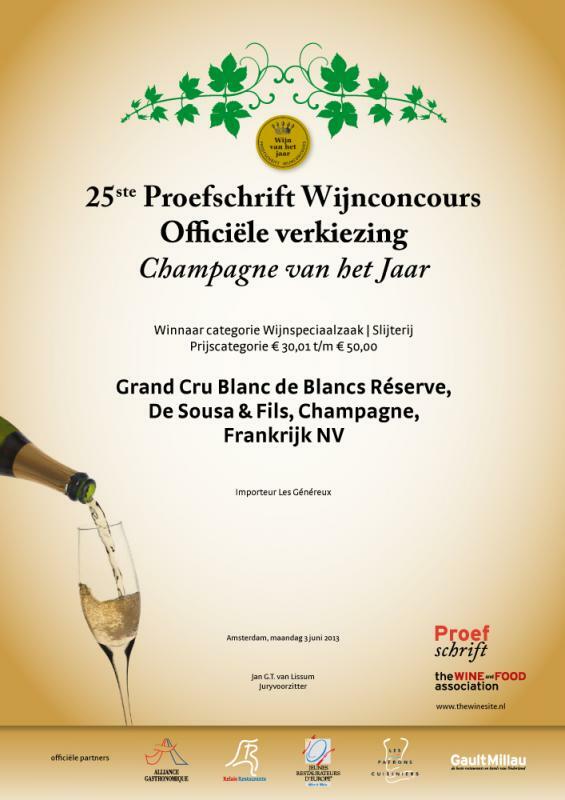 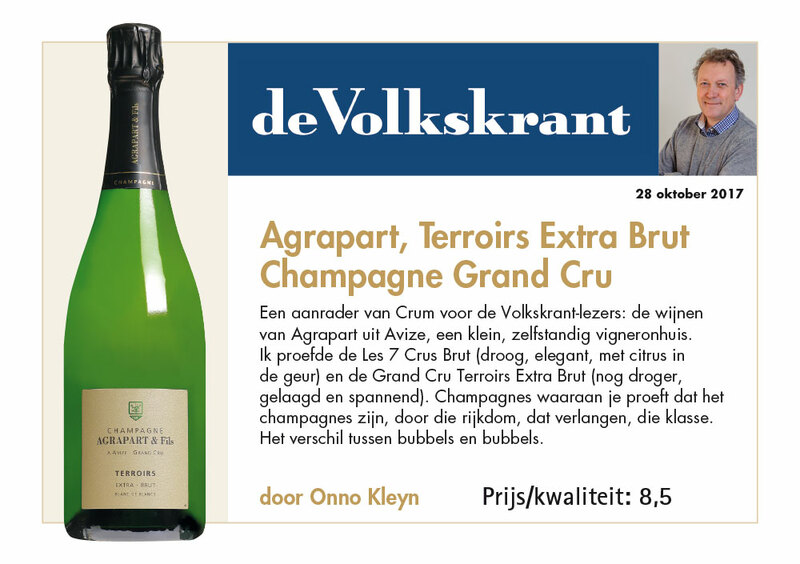 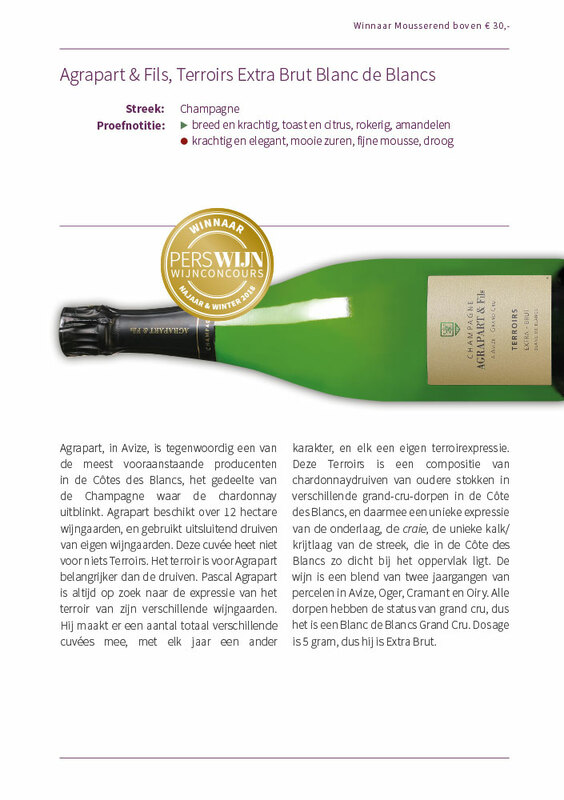 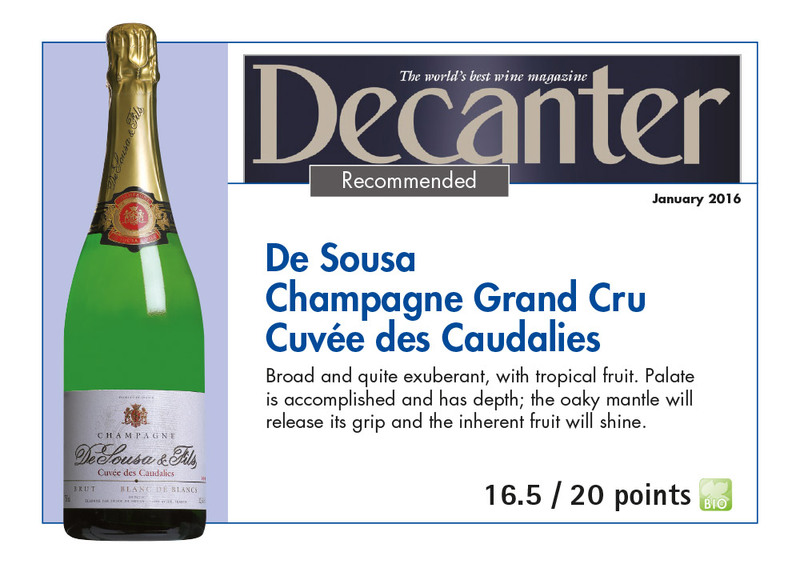 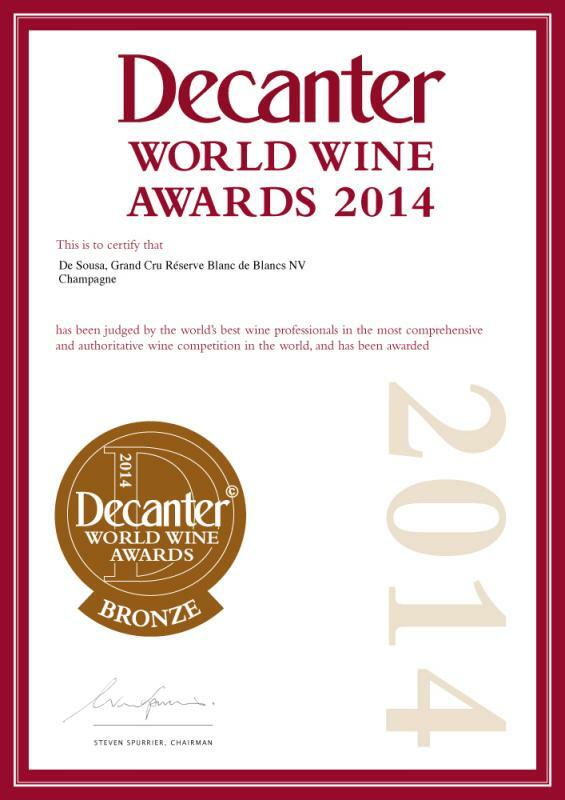 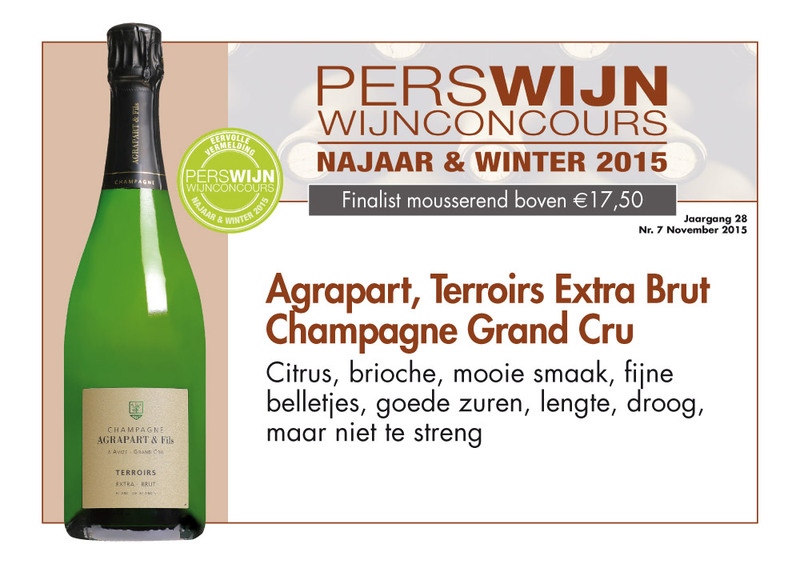 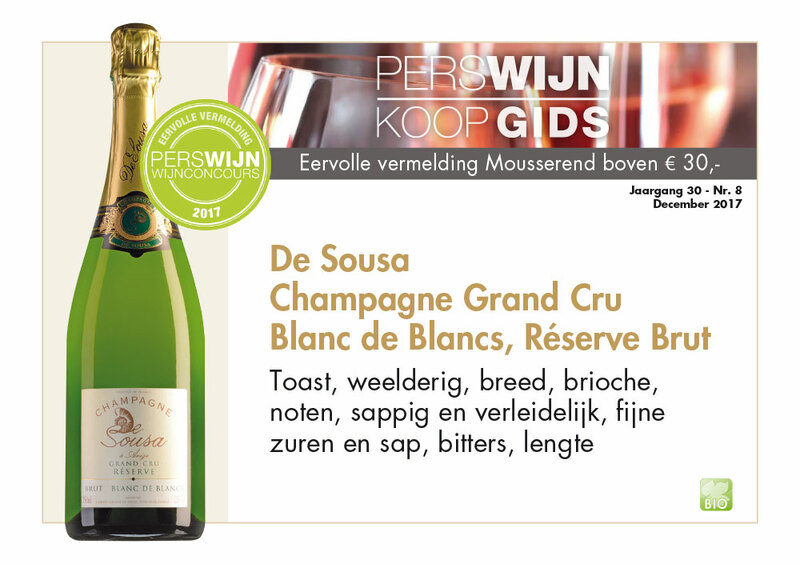 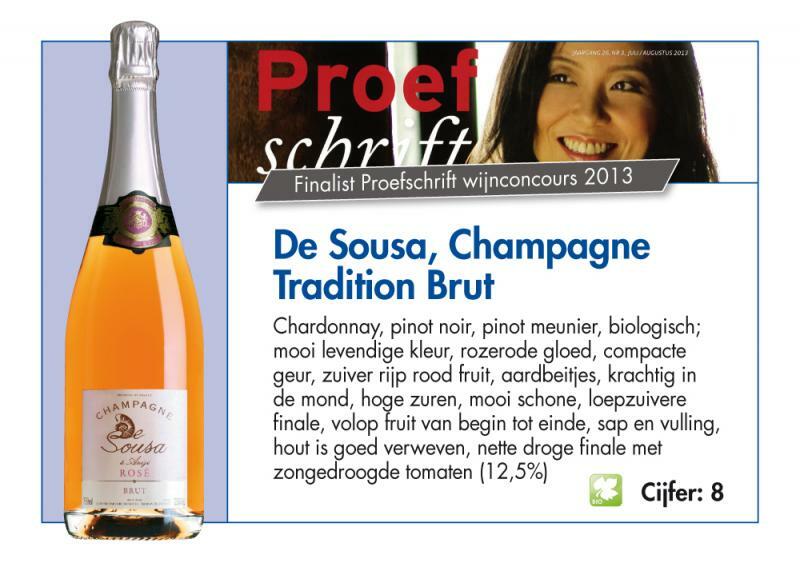 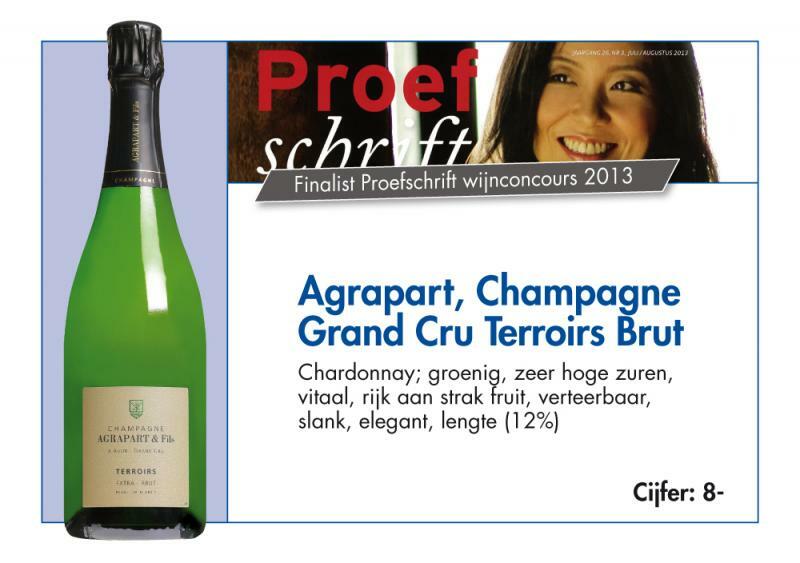 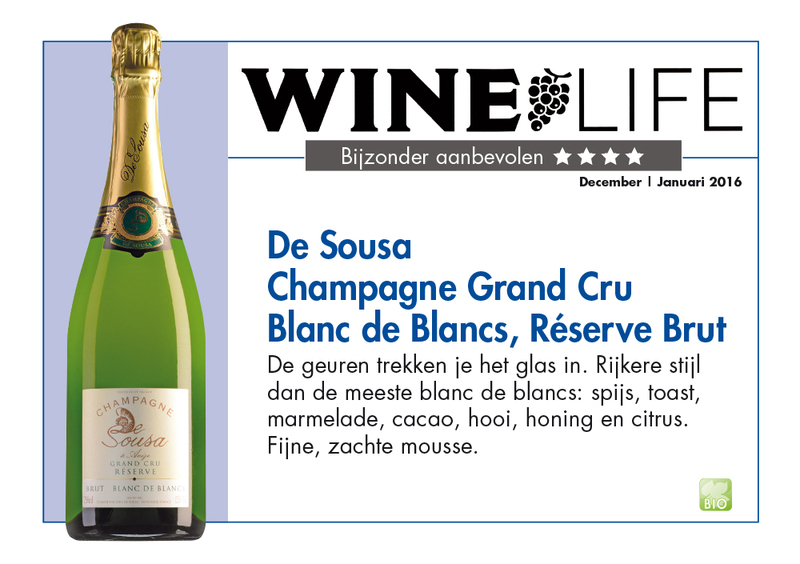 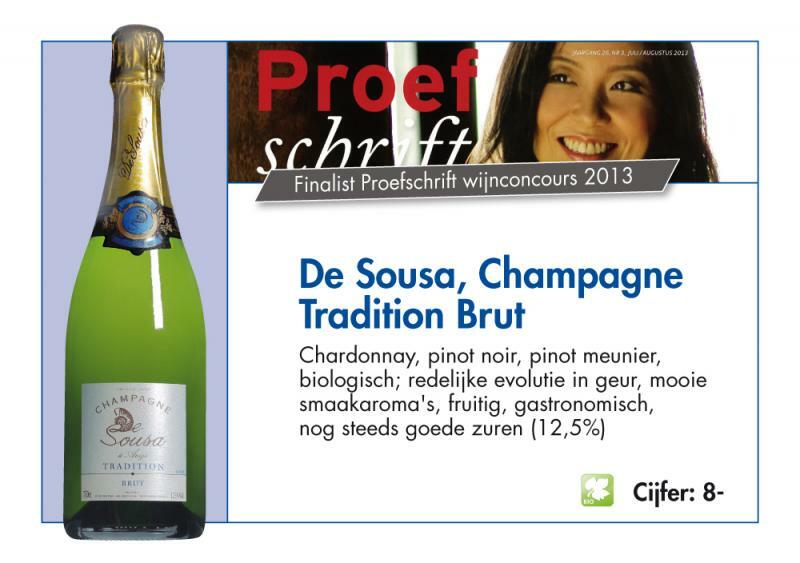 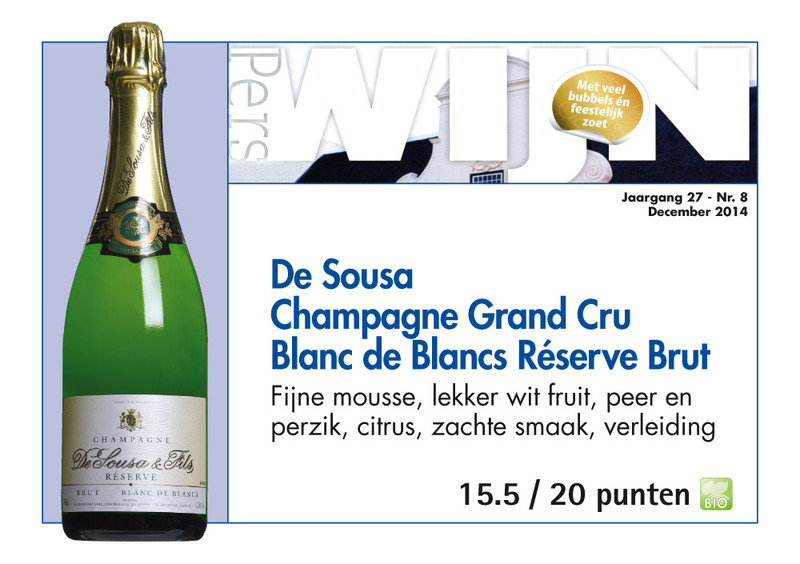 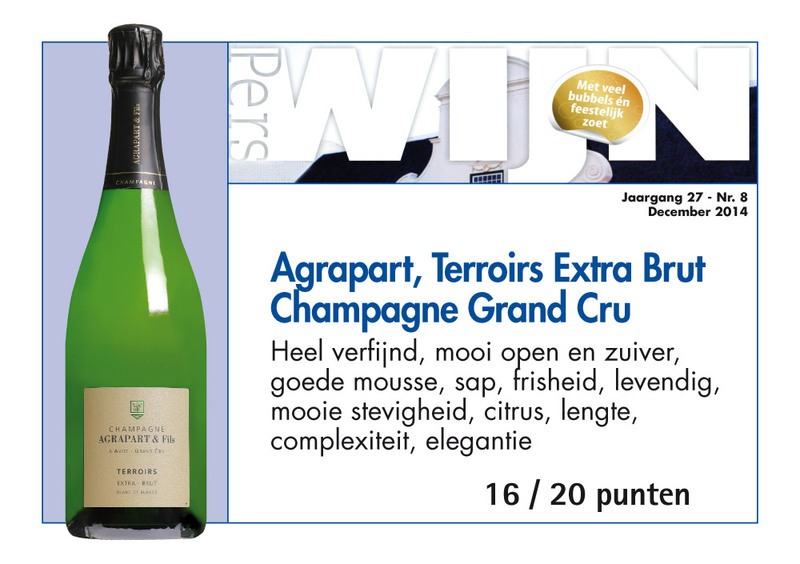 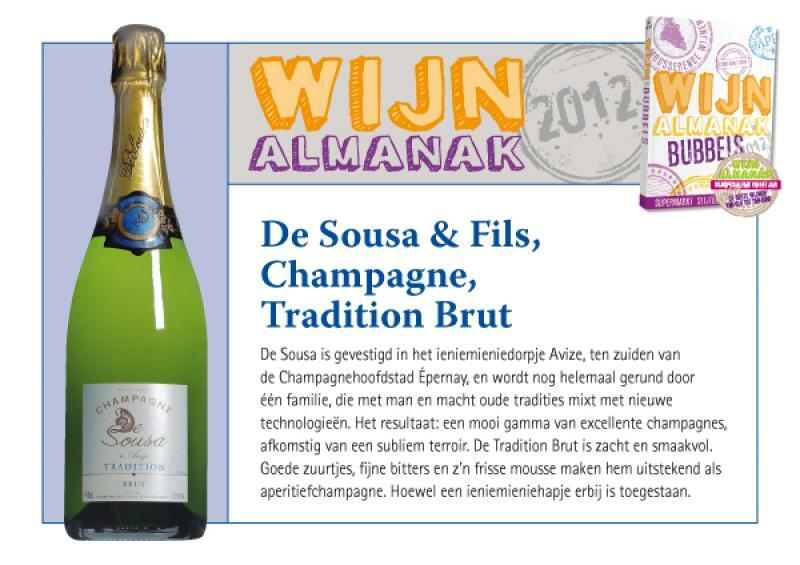 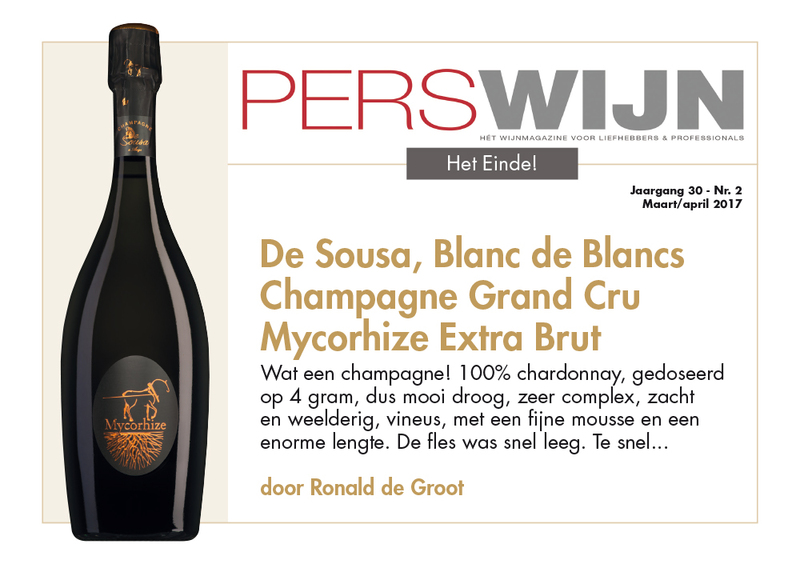 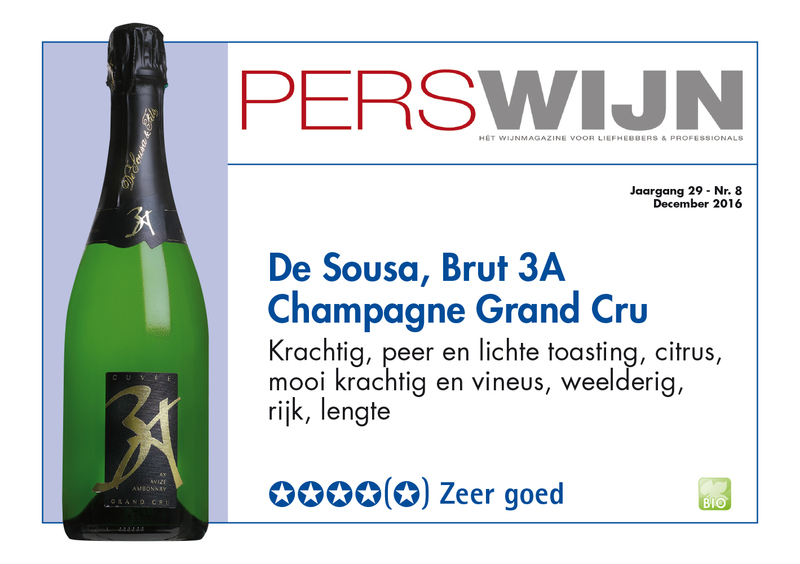 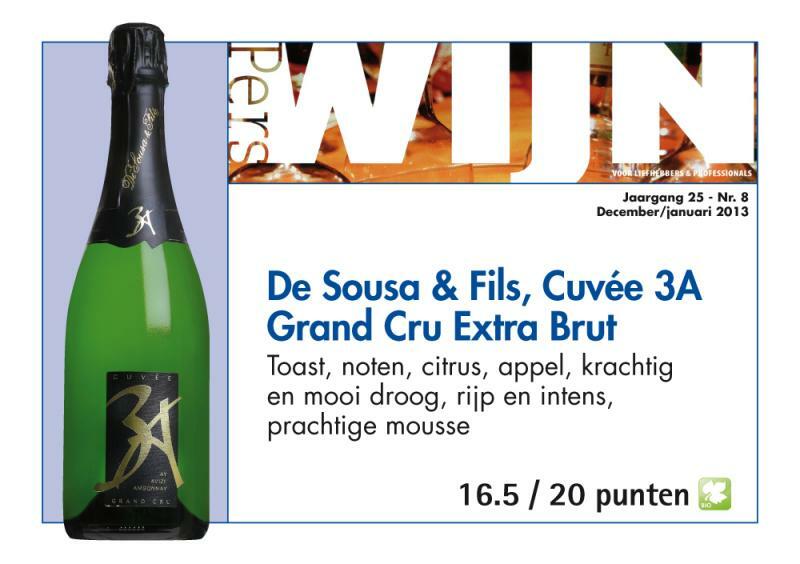 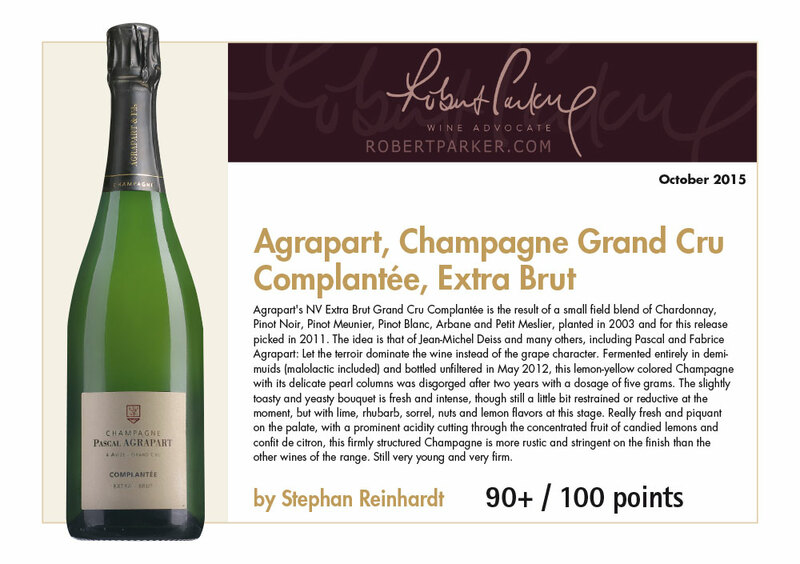 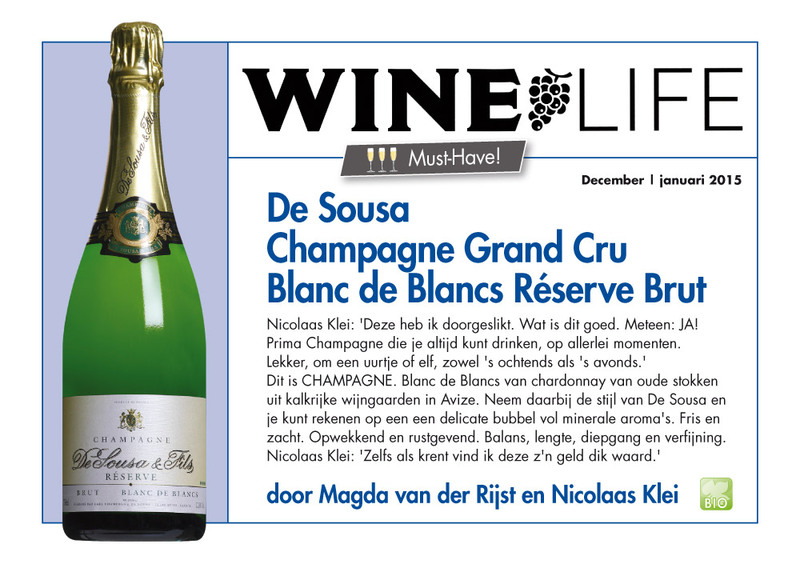 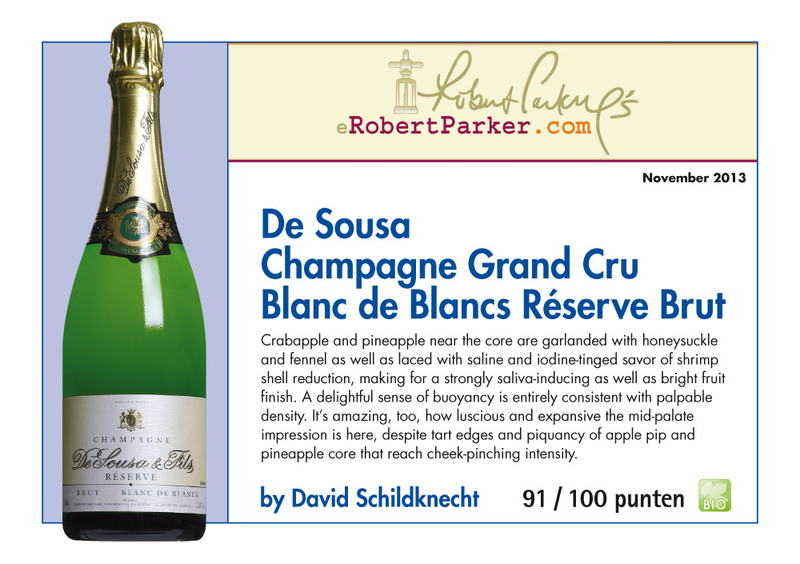 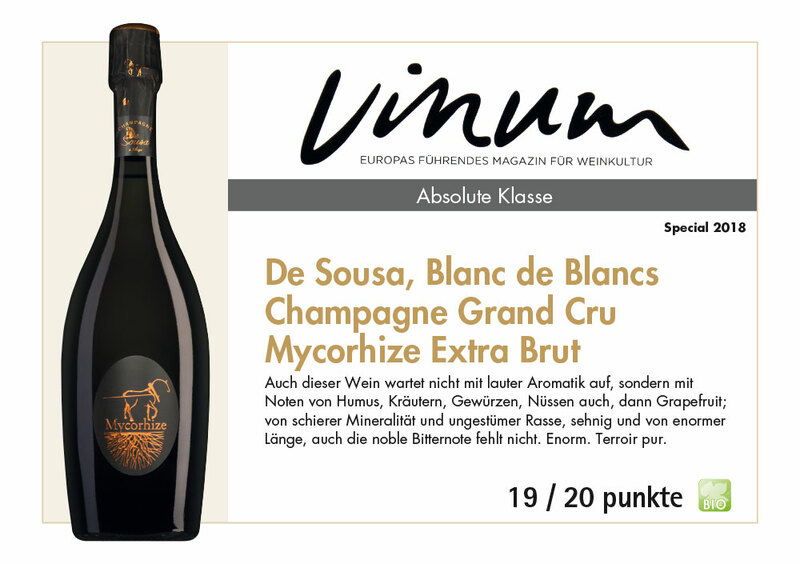 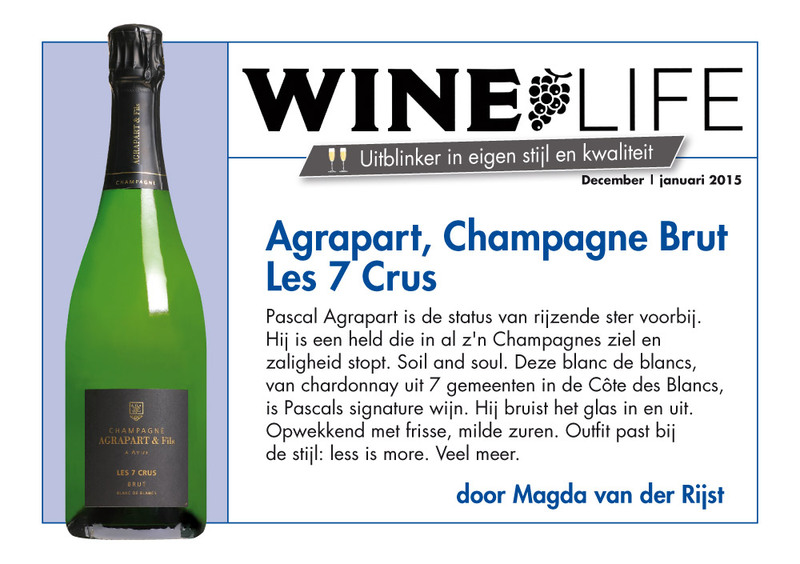 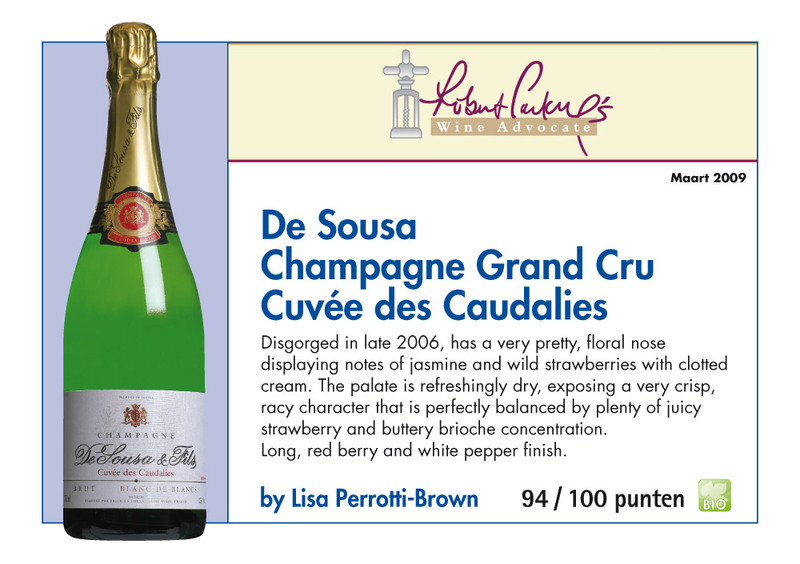 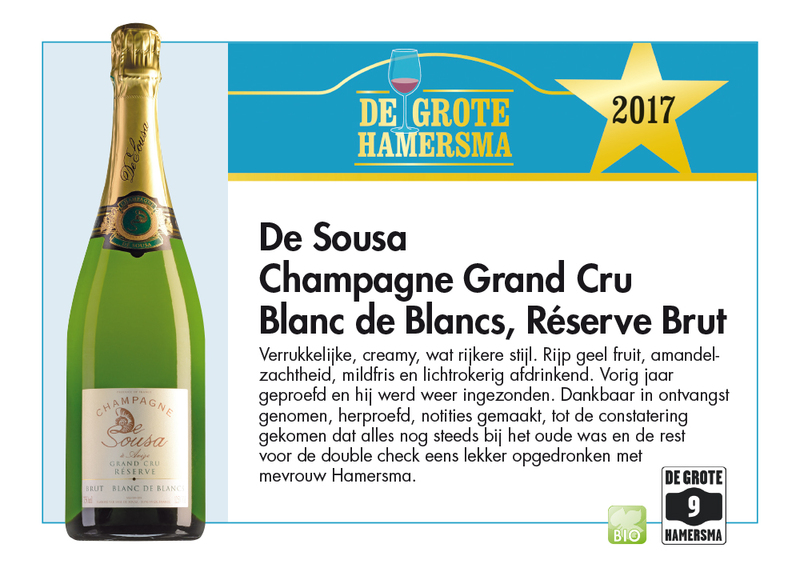 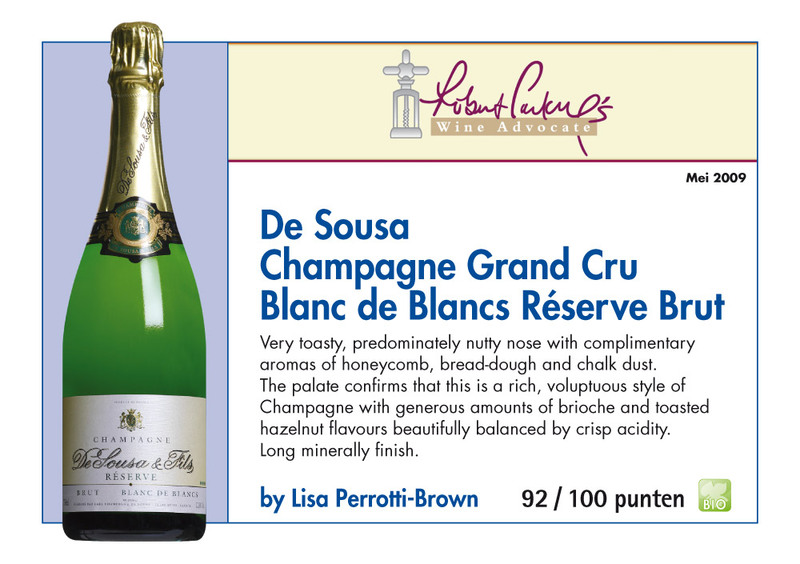 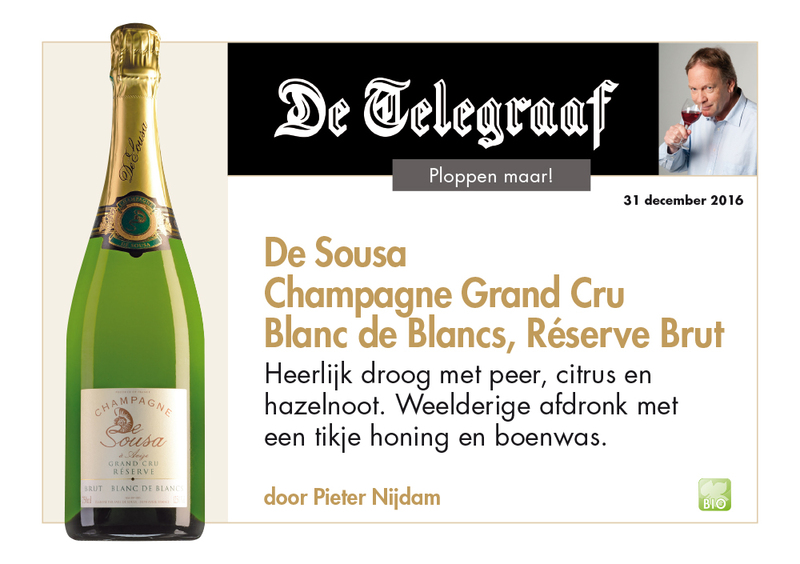 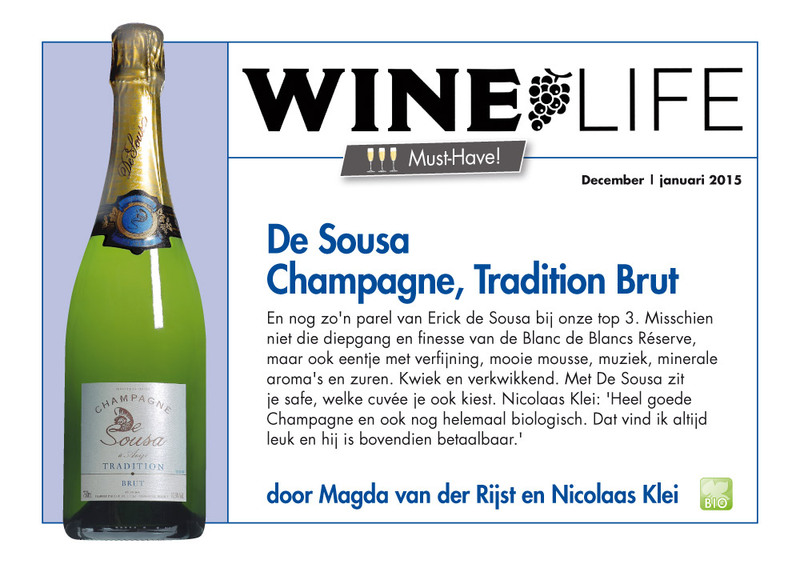 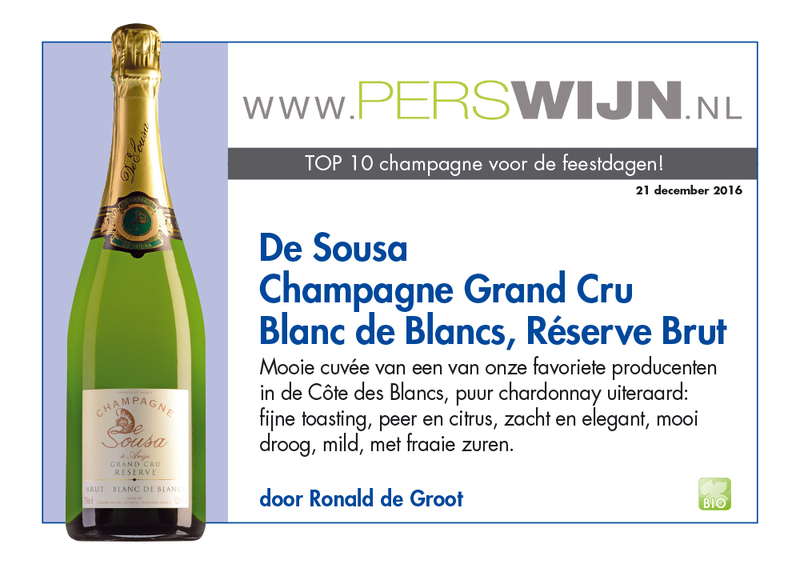 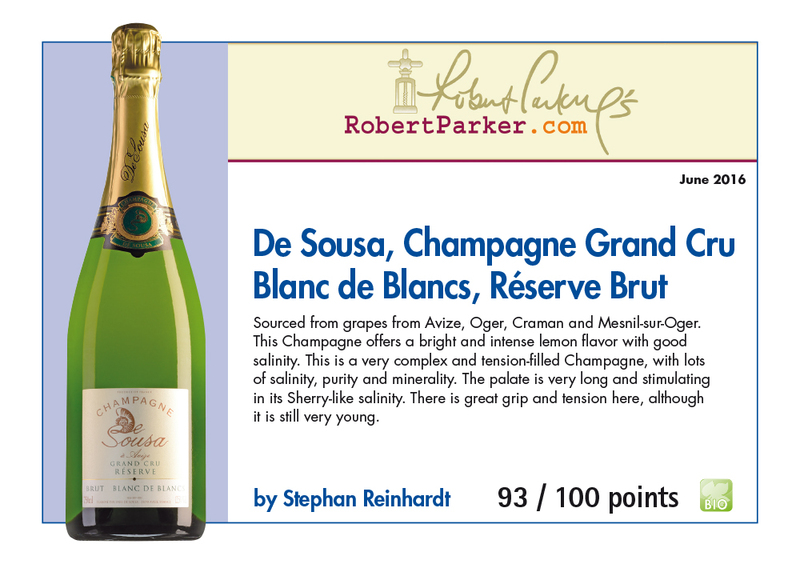 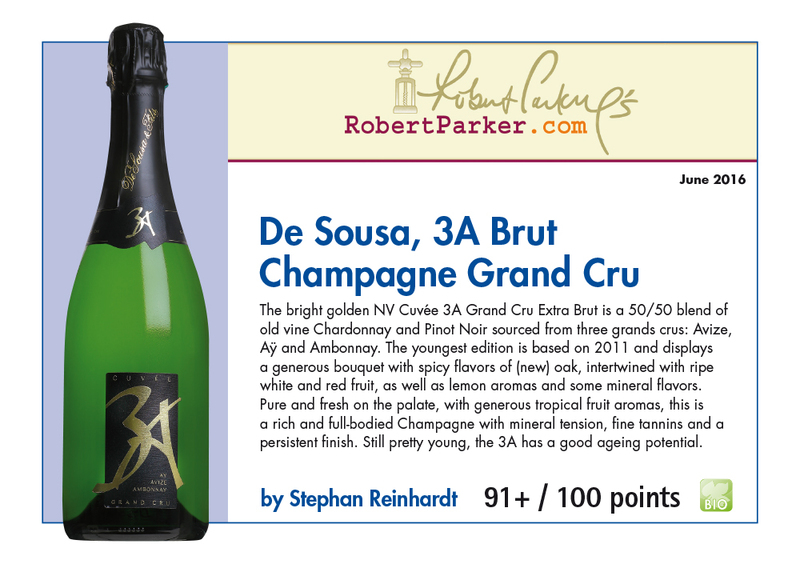 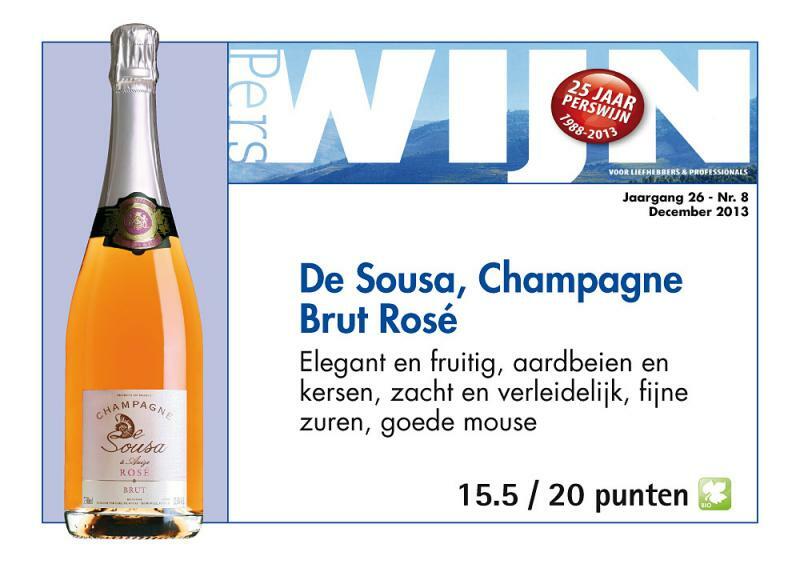 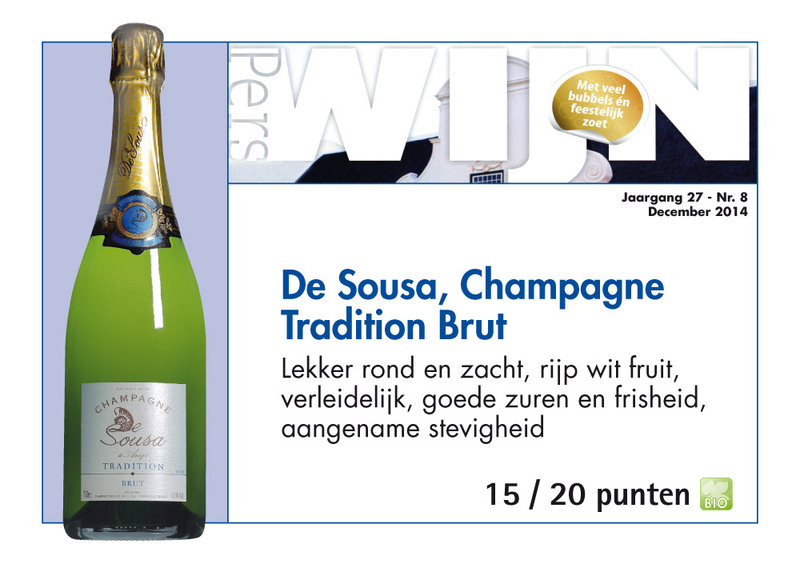 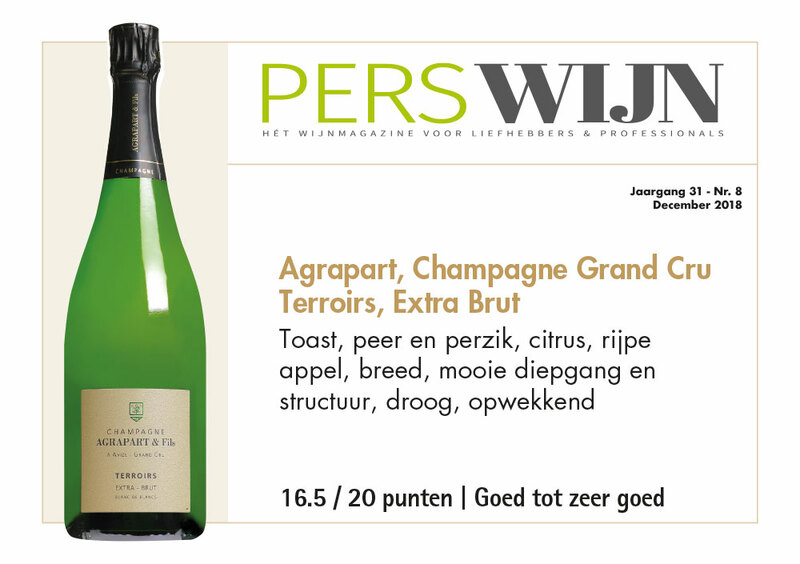 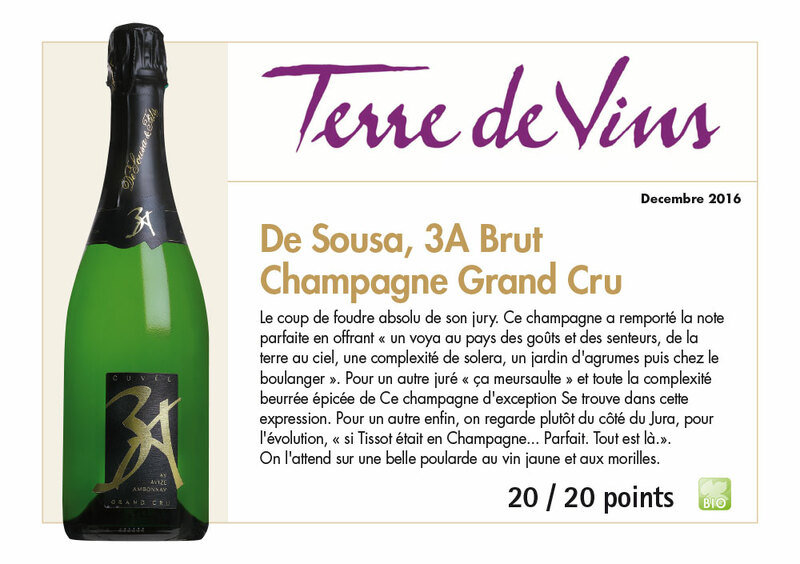 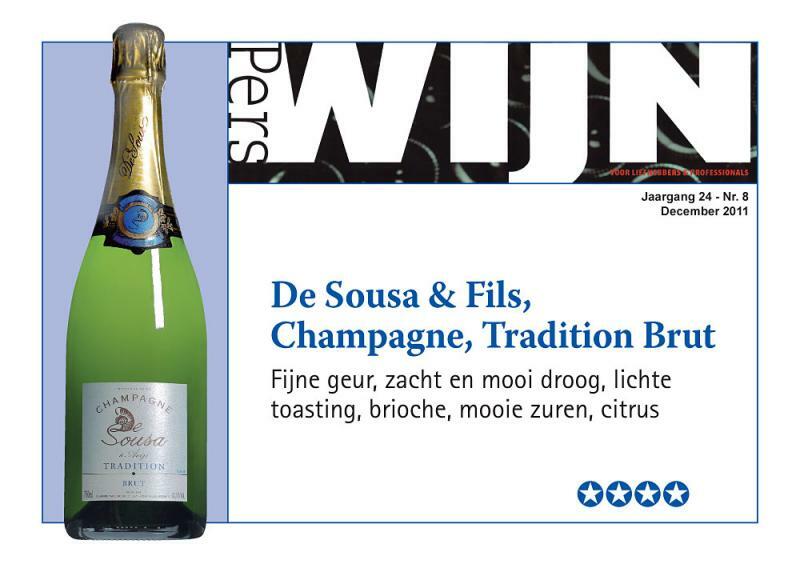 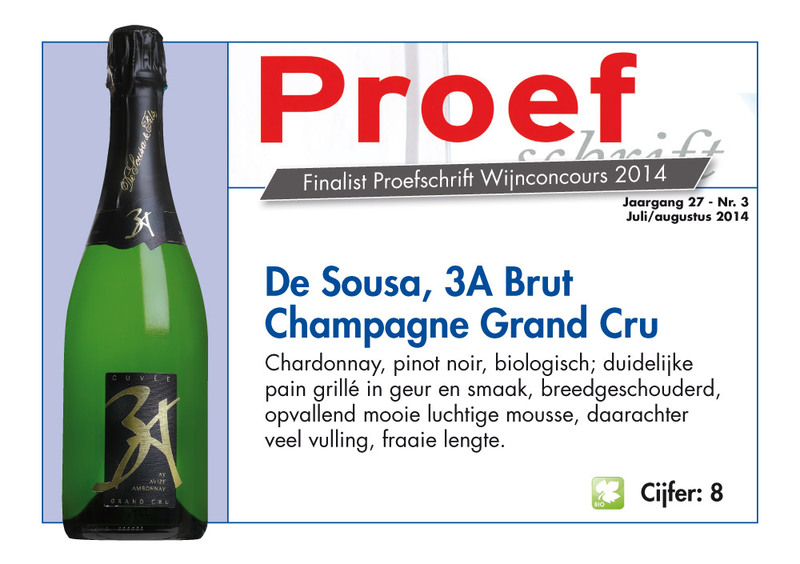 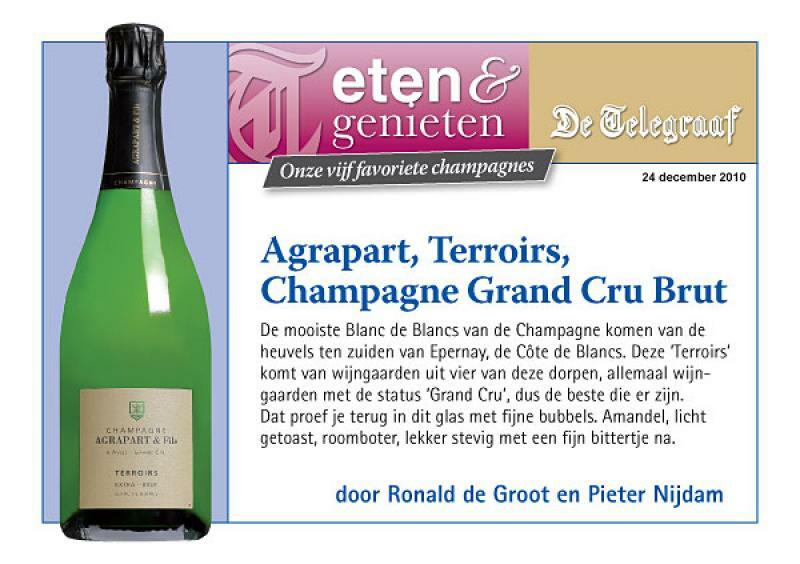 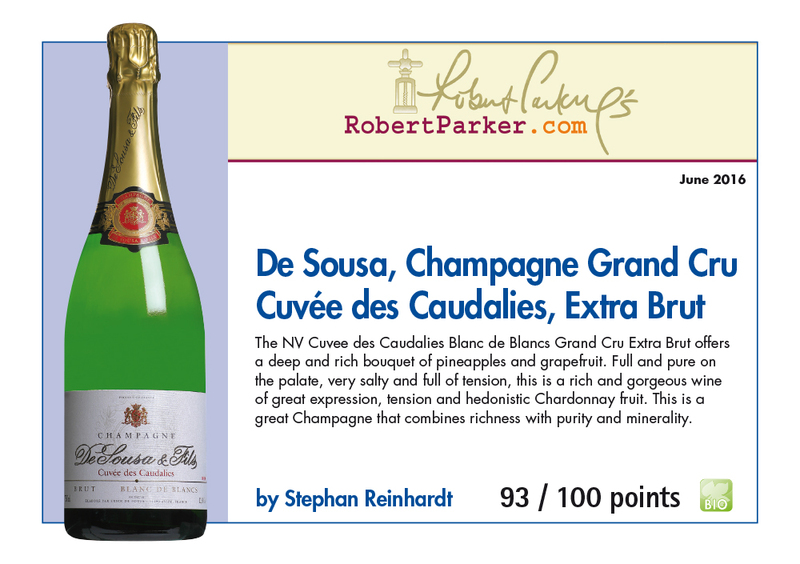 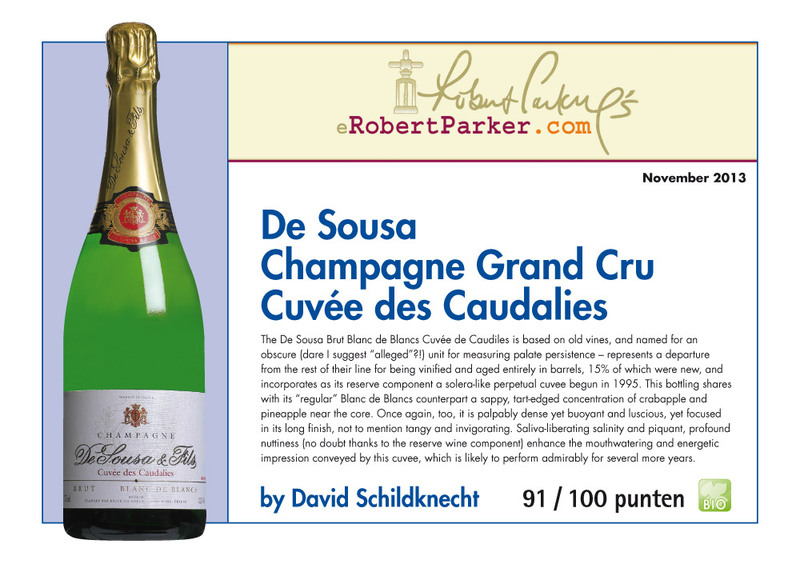 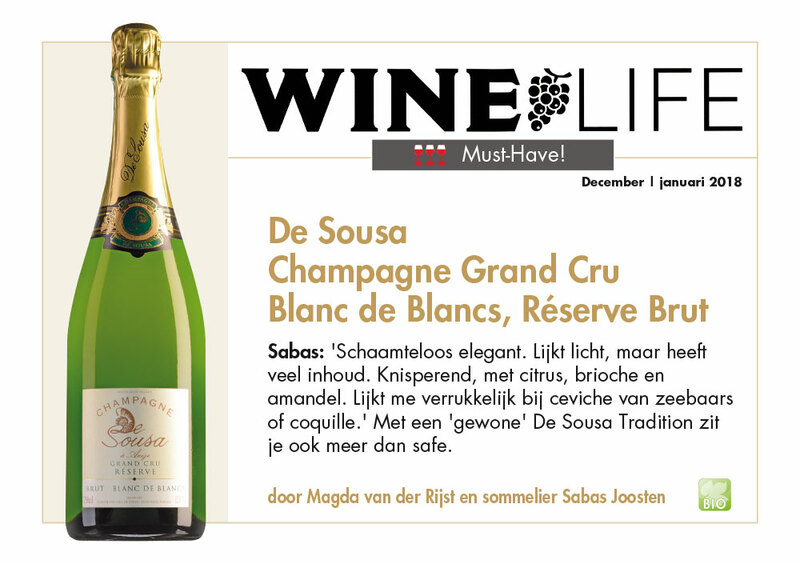 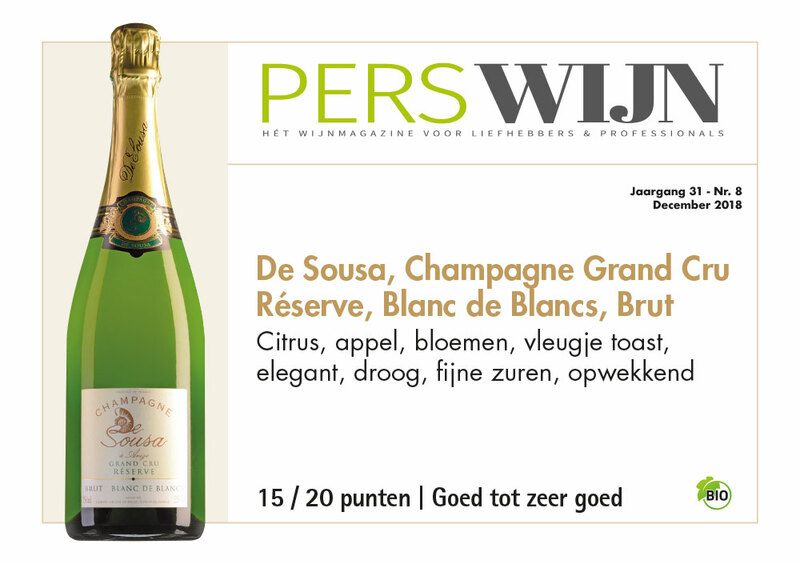 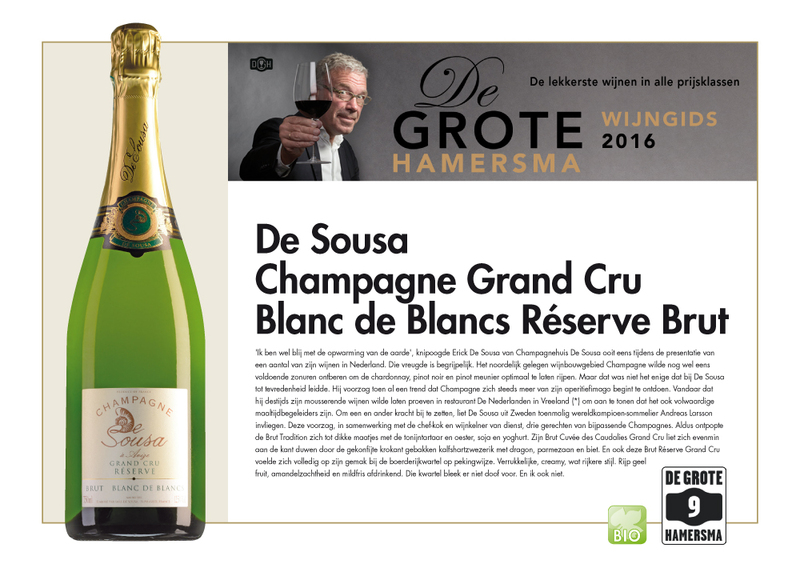 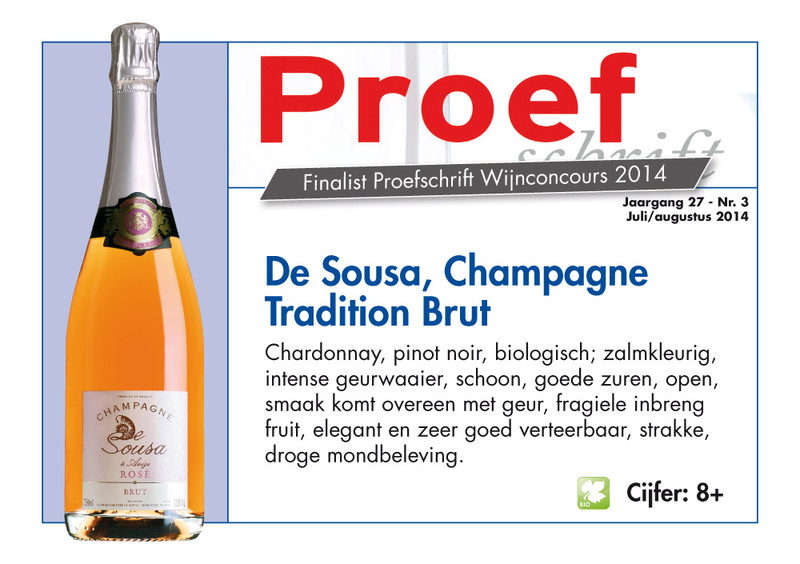 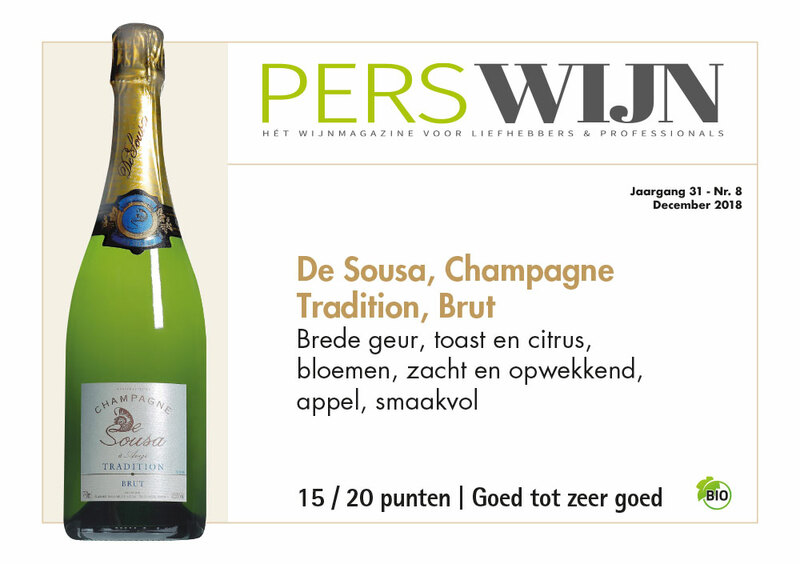 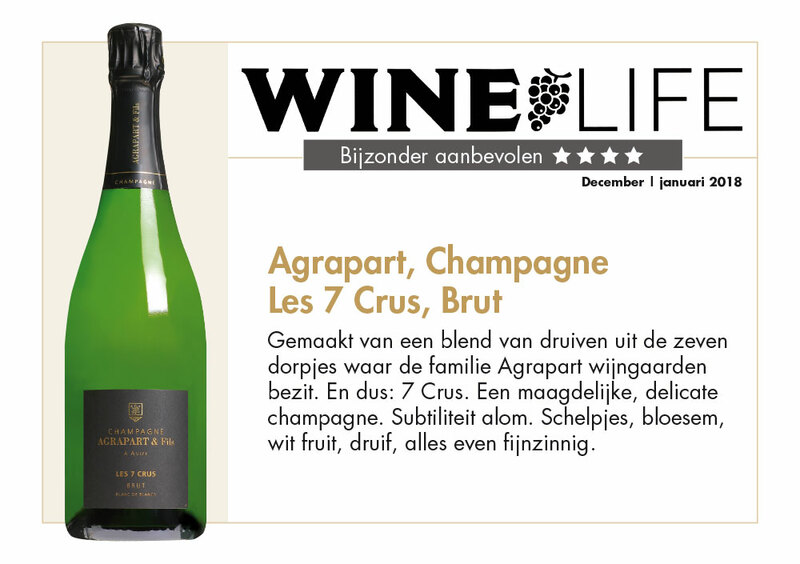 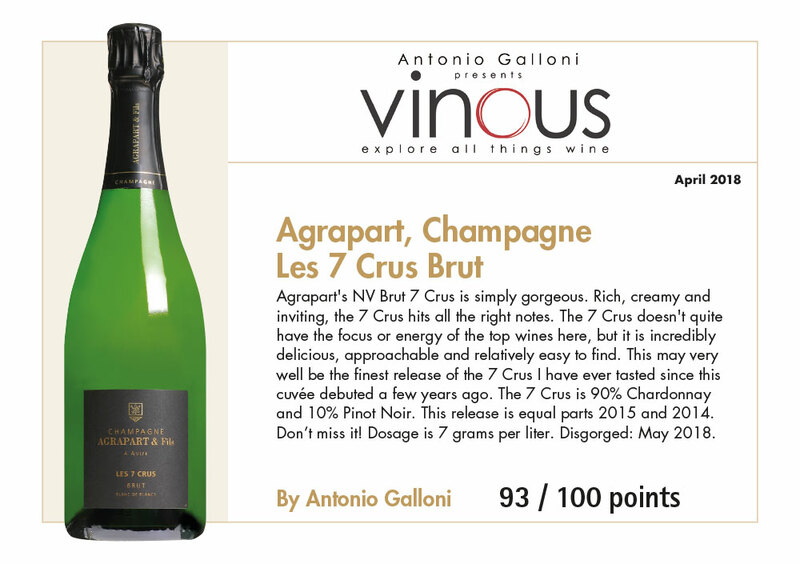 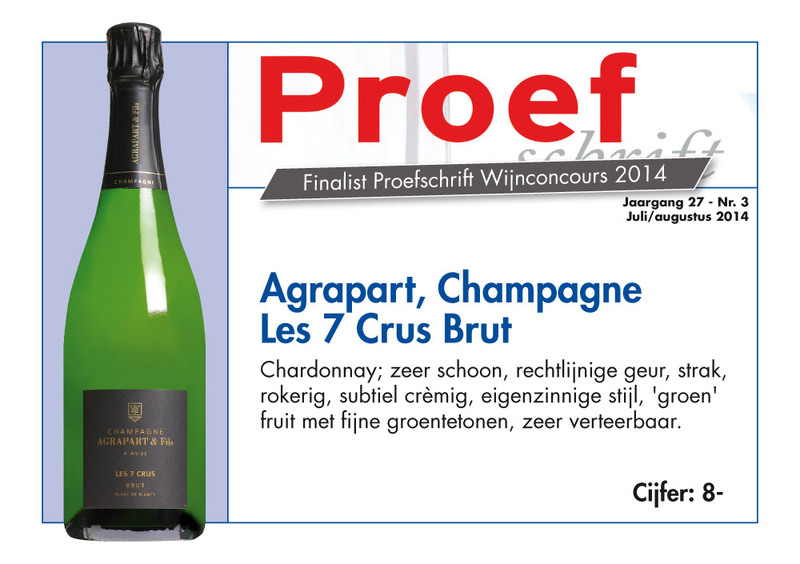 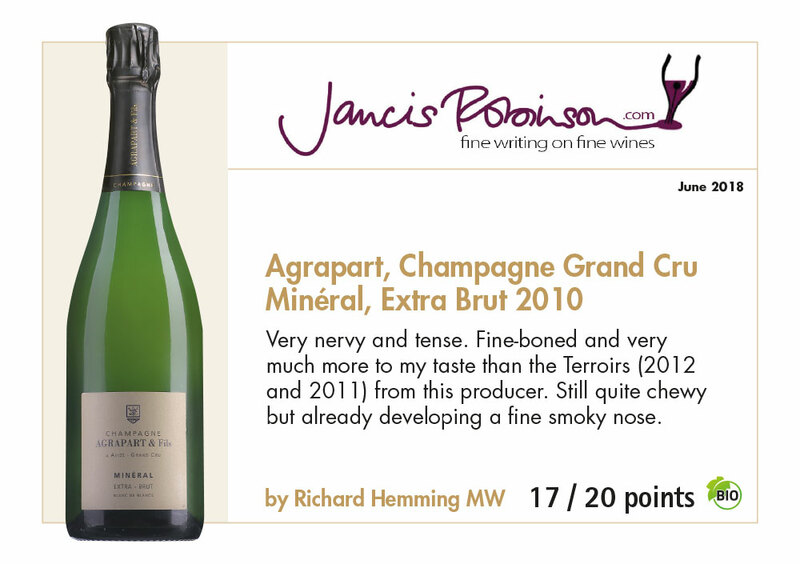 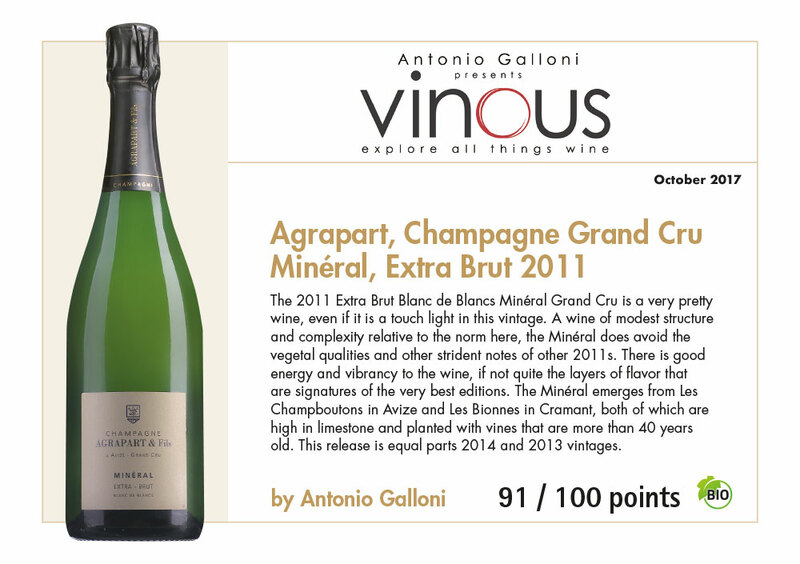 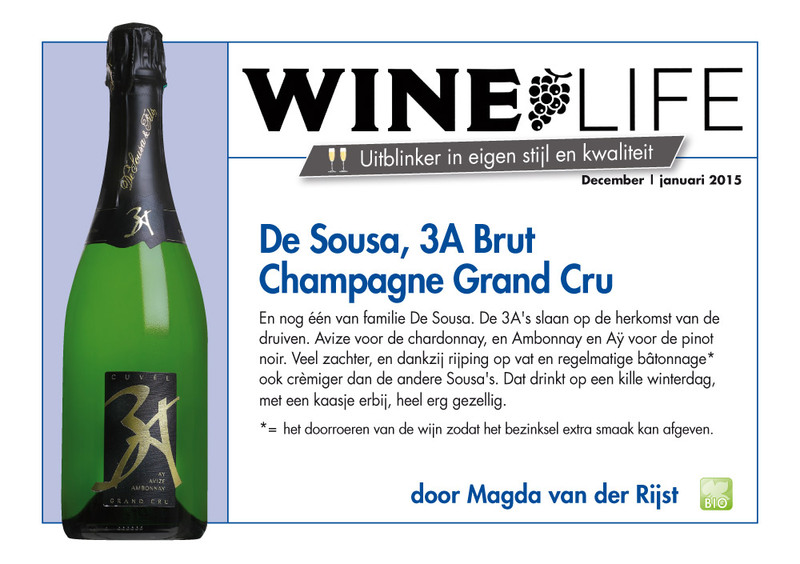 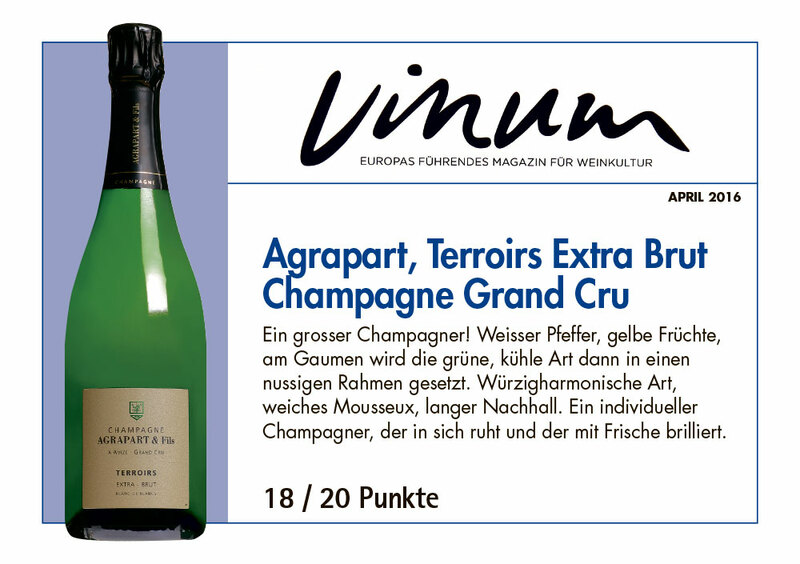 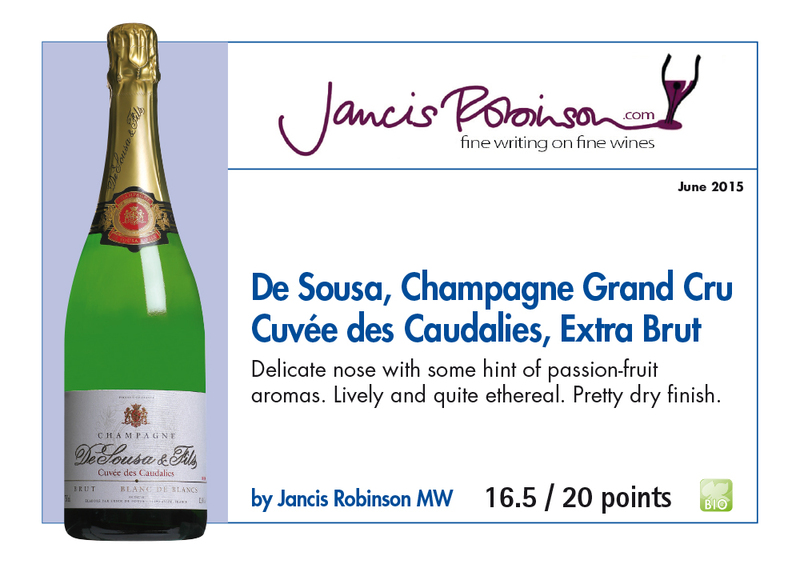 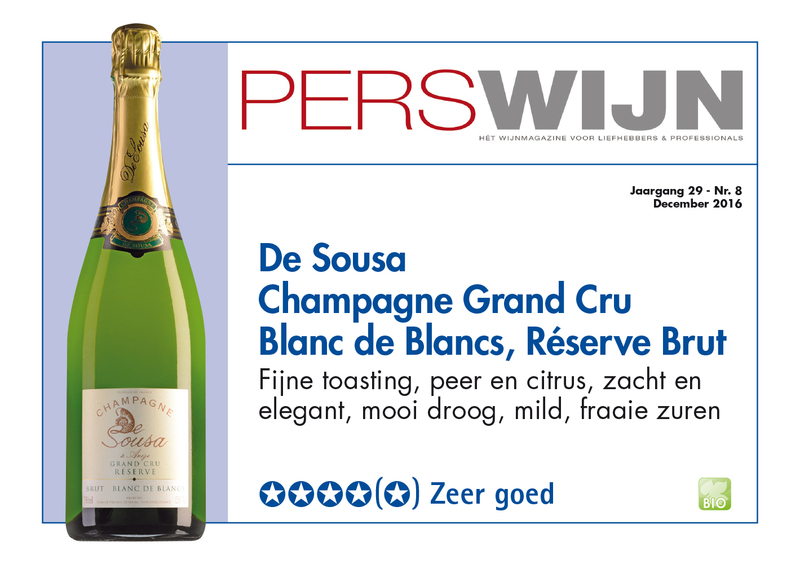 "Rating 94, Drink 2018-2030 The NV Grand Cru Extra Brut Complantée is an assemblage of Chardonnay, Pinot Noir, Pinot Meunier, Pinot Blanc, Arbane and Petit Meslier from vines that are an average of ten years old, all fermented in barriques, including malolactic fermentation..."
"Once again, there are fascinating champagnes to discover from Pascal Agrapart, the other godfather of the Côte des Blancs next to Anselme Selosse, who has just retired..."